The following rules are the same as 2018 with the exception of the rules for Bantam A/AA, where the changes, which are underlined, were passed at BC Baseball’s AGM in November 2018. These changes will show up in the 2019 Rule Book. 15U (Bantam) A/AA 42 inch [maximum length], 2 3/4 inch max diameter, -10 max length/weight drop, composite, aluminum, or wood composite. Wood composite bats include wood bats with fibreglass sheathing and wood barrelled bats with composite handles. 1. 2018 Official Rules of Baseball – Baseball Canada play for the 2019 season is governed by the 2018 Official Rules of Baseball, except for the modifications outlined in the supporting documents below. 2. 2019 Rule Change Summary – The 2018 changes to the Official Rules of Baseball, as summarized in this document, have been approved for Baseball Canada play in 2019, with the exception of Rule 5.10(m) which does not apply to Baseball Canada play. In addition, minor changes have been made to Canadian Content and Baseball Canada Championship Rules. 3. 2019 Rules Interpretations – This document builds upon the Official Rules of Baseball. By providing supplementary explanations to the official rules, as well as multiple case studies, this document offers increased clarity and consistency to all officials across Canada. “SHOULD” means a recommended best practice. In the event of a blatant or willful disregard for the spirit of the rule, upon review and with due process, the Board of Directors may impose a penalty or sanction on a case-by-case basis. “MUST” means a rule which must be adhered to. In the event of any violation, a penalty or sanction applies immediately subject to appeal if permitted. In any rule where the consequences are not stipulated, the Board of Directors will determine the appropriate action on a case-by-case basis which will included (but not be limited to) fine, suspension, forfeiture, or revocation of “good standing”. An executive committee, officers, or sponsoring organization who have been elected or appointed to foster, improve and govern the game of baseball in their respective communities subject to the Constitution and By-Laws, Rules and Regulations as defined by the B.C.B.A. An association shall apply annually for membership with the B.C.B.A. on the membership application form furnished by the B.C.B.A. An association must submit a boundary description to the B.C.B.A. as per Article XVIII (also see Rule 3). An association must submit the affiliation fees due to the B.C.B.A. at the registered address and must bear a postmark no later than April 1st of the current year.Refer to By-Laws, Article II. Associations who do not submit their membership application form, and affiliation fees by the due date, may have the B.C.B.A. Board bar that association, and they will not be eligible to compete in post season play. Associations must submit data for their entire registration of players including postal code, gender, birth date, and division. Failure to provide this information by June 1st may result in the association being ineligible to participate in any level of summer play. The B.C.B.A., Board of Directors, has the authority, with the “Association” having the right of appeal to the B.C.B.A., to withdraw or refuse membership for just cause by giving written notice to the presiding officers of the “Association” as indicated by the current “Membership Application” form. Membership does not imply that in future seasons a new “Association” cannot make application for operation within a portion of the present boundaries of an existing “Association” but only that no other “Association” will be permitted to operate within the boundaries established for the current season. Membership expires as at March 31st of each current year and is subject to renewal upon application and re-examination the following year, as per By-Laws, Article II, and Rule (1) in its entirety. Members must be in good standing and maintained throughout the year. Good standing meaning that Associations meet all requirements under Annual Responsibilities of an Association (Rule 1.02). Affiliation Fees are considered past due if unpaid for more than 30 days and all other monies to B.C.B.A. are not more than 60 days past due. Members must have a functioning and an up-to-date website. 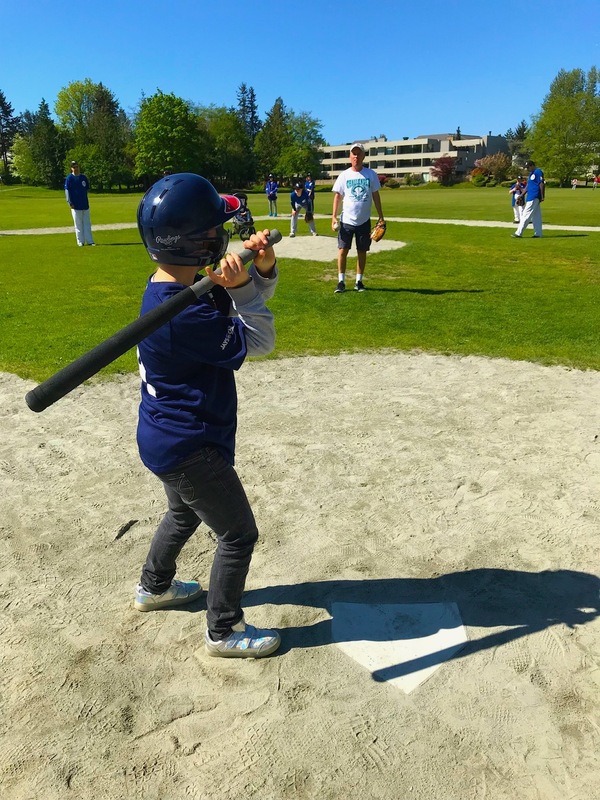 Members may NOT affiliate with any other registered baseball organization at the same time they are a member of B.C.B.A, with the exception of Challenger Baseball division. Members found to be registered with another baseball organization will immediately be suspended and ruled a member NOT in good standing, pending a final decision by the B.C.B.A. Board of Directors. A member not in good standing may not participate in any sanctioned B.C.B.A activity. Application. An application to join B.C.B.A. must demonstrate a constitution, an executive and a voting membership. New Boundaries. All new associations joining B.C.B.A. must establish a new boundary within B.C.B.A. in consultation with B.C.B.A. and the existing member association(s) whose current boundaries would be affected, pursuant to the terms and conditions of Rule 3. Programs Offered. All B.C.B.A. member associations must offer B.C.B.A. baseball programs for all age divisions for which they currently run any baseball program. New and existing B.C.B.A. members who do not currently meet this requirement will have a maximum two (2) years to comply after the next renewal date (March 31st) in order to retain their B.C.B.A. affiliation. New or existing B.C.B.A. associations that do not offer programming at all age levels will have their catchment area at those age levels not offered be deemed open territory. Players from these areas will not be deemed imports. These players will require a release. Players impacted by boundary changes due to new affiliations may be permitted to remain in their former association by creation of a “grandfather” player list created at the time of new affiliation, pursuant to rule 3.02. Each Member Association should have the opportunity (but not the obligation) to offer all B.C.B.A. recognized divisions sanctioned by B.C.B.A. Extensions of the date of filing of the “Membership Application” form may be considered and granted upon written application to the B.C.B.A. In the case of new “Associations” still in the process of organization or those “Associations” renewing their memberships who are facing unusual organization problems. “Associations” may be affiliated and registered even if documents are lost in the mail providing that some responsible and informed person swears an affidavit that the documents were mailed in sufficient time. Member associations must establish an appeals process to resolve local parent concerns at the community association level. Disputes must be dealt with locally before the B.C.B.A. Board will intervene. visit BC Baseball’s website for information on how to obtain insurance coverage. 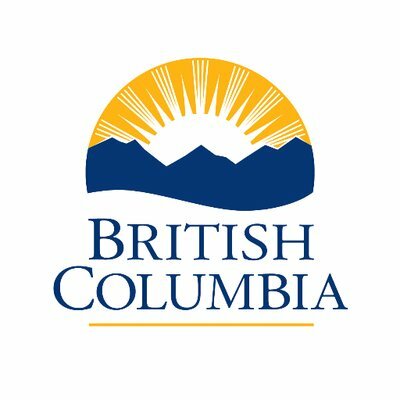 Every volunteer, coach, employee and/or contractor, who at any time could be expected to have direct contact with any minor aged person, must have on file with their association, the results of a Criminal Record Check (CRC) completed within the previous twelve (12) months from an agency approved by B.C.B.A. Compliance with this rule is the responsibility of each local association. Note: This rule does not apply to umpires. BC Baseball shall identify independent teams (defined as teams who do not belong to established leagues) who recruit and/or poach BC Baseball players and declare that associations shall not play exhibition games against such teams. Independent teams identified by BC Baseball shall not play in BC Baseball sanctioned tournaments. An association who defies this direction shall be subject to sanctions as deemed appropriate by the executive. 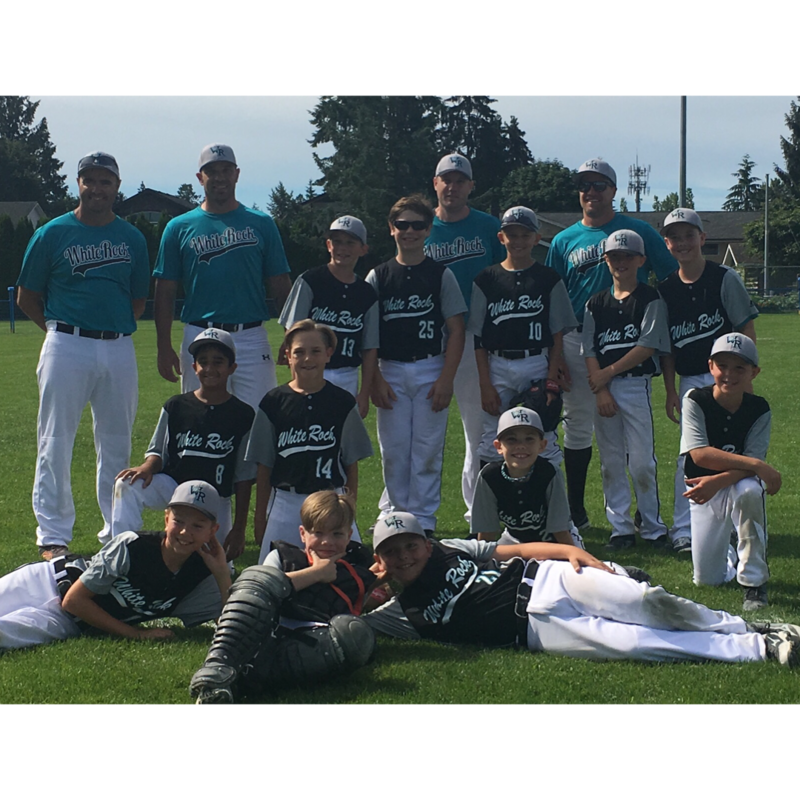 BC Baseball teams are permitted to play tournament games against identified independent teams in non-BC Baseball sanctioned tournaments. Not all independent teams are covered under this rule. BC Baseball shall advise associations when this rule is to be applied. Teams competing in Zone play will pay a fee of $300 ($400 for a 7-team single pool round robin) to the zone host in addition to the entry fee paid to B.C.B.A. All teams qualifying for a provincial tournament will pay an additional $500.00 entry fee to the provincial host prior to being allowed to participate. In the 11U (Mosquito) Division, part of this fee is to cover the cost of 3rd place (bronze) medals. Each Association will provide their boundaries at the B.C.B.A. AGM and B.C.B.A. will identify all boundaries by February 1st of each year (as per Article XVIII). All association boundaries will be posted on the B.C.B.A. website and sent to all member associations. In the event of any overlapping boundaries or boundary disputes, the B.C.B.A. will seek a resolution with the affected associations prior to March 1st. It is expected that each person residing within the Association boundaries, as approved by the B.C.B.A. will be given an opportunity to become a player candidate for the Association. Association boundaries shall be determined by the administrative directors of the Association and approved by the Association as per By-Laws, Article XVIII, Sec.1. Unless specifically stated otherwise, the center of the street shall be considered the actual dividing line when streets are used as boundaries. Maps must indicate specific boundaries such as streets, railroad tracks, rivers, etc., or school districts, postal zones, city limits, or similarly specified areas. A definition of boundaries such as “five-mile radius” is not acceptable. The B.C.B.A., based upon the recommendation of the Area Supervisor or Committee Chairman as the need may arise, reserve the right to adjust boundaries in the event of overlapping of territorial requests, or because of inequitable conditions. Though boundaries are not specifically restricted by population or area, both will be considered when boundaries are submitted to the B.C.B.A. for approval. B.C.B.A. only recognizes B.C.B.A. boundaries, and only recognizes these boundaries for associations at the divisions in which they offer B.C.B.A. programming. The boundaries for each age division shall be identical. BC Baseball supports the concept of grandfathering as a method of resolving boundary disputes, particularly in areas where boundaries are changed. A grandfather agreement must be approved by the associations involved and BC Baseball. Players included in grandfather clauses do not require a release and do not count as import players. It is the responsibility of each association to organize and administer local interlock or house leagues for spring play. Age limitation cutoff date is 11:59 p.m. as of December 31st of the current year. Exception: 18U AAA players must be 18 years of age or younger as of August 1st and enrolled in fulltime secondary school. Dates of birth of candidates shall be certified by either birth certificates, baptismal certificates, hospital certificates or religious/legal documents, driver’s license, Canadian Passport or immigration documents which should be presented to a League official prior to the League’s first regularly scheduled game. Photostat copies of any of the above certificates and/or documents are acceptable. Documents presented as proof of date of birth must be legible and bear the signature of an authorized official of the issuing authority. Notarized statements from parents or guardians are not acceptable. A team must carry with them to all Provincial Championships, a copy of proof of age for each member of the team. This document must be presented to the Tournament Director before each level of tournament play begins or upon request of an opposing Team Manager, Coach or Business Manager. The Association applies in writing to the B.C.B.A. Player Eligibility Chair providing full particulars. Written approval has been obtained from the B.C.B.A. Player Eligibility Chair. If written approval is not obtained, the player will not be eligible to play. Written approval has been obtained from the B.C.B.A. Player Eligibility Chair prior to June 1. If written approval is not obtained the player will not be eligible to play in a higher division. 9U (Tadpole): 5 games plus one tournament at the 10U and/or 11U (Mosquito) level only. Movement within a division (ie 18U (Midget) AA to 18U (Midget) AAA) will be interpreted as movement up for the purposes of this rule. The word ‘play’ in section 5.05 above is interpreted to mean taking an offensive or defensive position in the game. 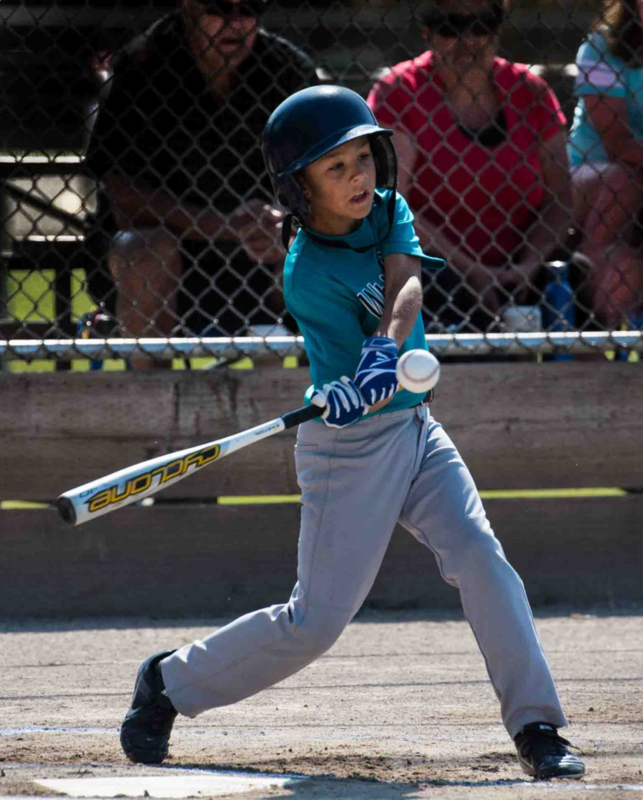 If a player exceeds the number of games allowed as defined in rule 5.05 above, the player cannot return to their age division for the balance of the year, including all league, playoffs, zone and provincial competition. 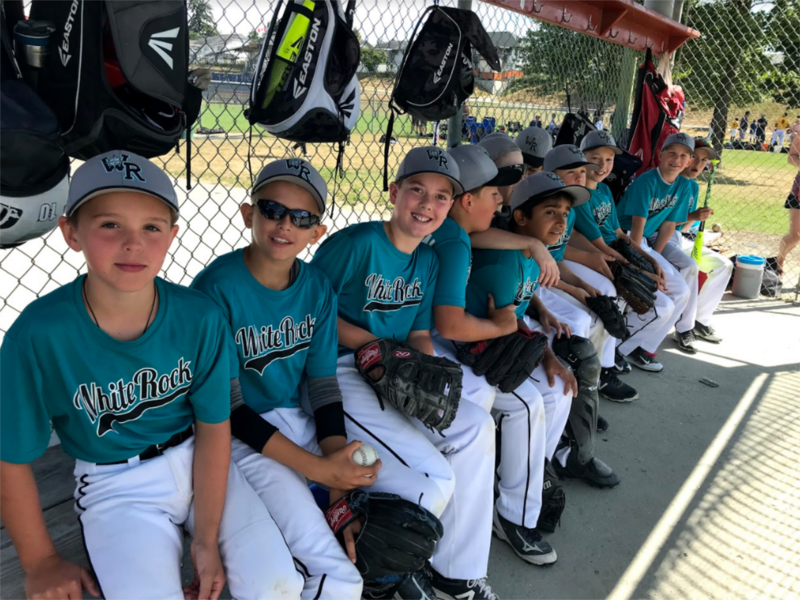 The league may be subject to a penalty of up to $250 per game played up to be determined by the British Columbia Baseball Association Board of Directors. Only persons of eligible age whose residence, as determined by the residence of their parents or legal guardians, or by school records, is within the boundaries determined by the Association and approved by the B.C.B.A. shall be eligible for active participation in the Association. If residence is not in an area that is currently covered by a B.C.B.A. Member Association, then a player desirous to play in B.C.B.A. will be permitted to play in any association. The parents’ usual residence when parents live in the same house, or if one of the parents is deceased, the usual residence of the surviving parent. In cases where parents do not live in the same residence, the legal residence is the usual residence of the parent having legal custody of the player or if both parents have legal custody, the usual residence of the parent with whom the player usually lives; or again, if the player lives equally with both parents, his place of residence shall be determined by the Player Eligibility Chair. When legal custody has been granted to a third person, the usual residence of that person. NOTE: the term “usual residence” is defined as four (4) out of seven (7) days. married, or the equivalent of married. 3) Thirdly, by the address on the school records. Residence eligibility may be challenged and if so, the family would need to provide proof of residence as to satisfy the definitions listed or proof of schooling. Any association may grant a player who resides within their association’s boundaries a release for any reason. A player granted a release may register in any other association on a yearly basis but remains a free agent and is not obliged to continue with the new association or return to the association where they reside. Should the player granted release move to the catchment of another B.C.B.A. association, he is again bound by the residency requirements of the association where he/she now resides unless granted a release by that association. A candidate who resides within the boundaries of an association and desires to play baseball in another association may do so providing the Association of residence does not provide, either on its own or in combination with another Association, the level of play that the candidate is capable of playing i.e. The Association of residence provides a (A or AA level within a division but the candidate is capable of playing at a AA or AAA level. The player may apply for Preliminary Try-Out Approval from the Player Eligibility Chair by emailing a Player Eligibility Chair member with their intentions in order to try out for an AA or AAA team at the indicated Association. The player’s residential Association shall declare in writing that it will have no level of play that the candidate is capable of playing in the player’s age division for the current season. Should the player be selected for a AA or AAA team, he/she shall process an Application for Player Movement to remain at the new Association for the current season only. All players must first register with their residential Association. Should an Association fail to have sufficient players to form a team in the divisions in question, it may release the players to another Association(s) that will accept them. No player movement shall take effect until approved by the Player Eligibility Chair. In order for this paragraph to apply, the candidate must make the roster of a team in another Association at the higher level. If the candidate is not successful in making a team roster at the higher level he will return to the Association of residence. Written approval, in the form of the B.C.B.A. Player Movement form must be obtained from the ruling Association executive in the event that a candidate is desirous to play within the boundaries of another Association. The B.C.B.A. Player Eligibility Chair, upon due consideration of the player’s reasons for moving, may grant the player’s release to another Association. The completed Player Movement Form agreed to and signed by two association presidents must be submitted to the B.C.B.A. Player Eligibility Chair for approval. This release shall not be considered valid until an approved copy of the release has been returned to the Receiving Association by B.C.B.A. Therefore, players to whom this paragraph applies will not be considered as properly registered until the Receiving Association has the properly completed and the approved Player Movement Form signed by the B.C.B.A. Eligibility Committee in hand. Refer to paragraph 1 above. It is the responsibility of the ruling Association executive to ensure that candidates qualify to residence eligibility. Failure to comply with the above noted rules will cause the said player to become ineligible for All-star selection in any age division or Association affiliated with the B.C.B.A. A player released to an association to try out for a higher level teams, not offered by the releasing association, who does not make the team, must return to the releasing association. The Player Eligibility Chair of B.C.B.A. is in place to deal with any “appeal” situation where the family of the affected player feels there is some hardship in this decision and they are deserving of further consideration. Extenuating circumstances would of course be an “Appeal” by the family to have the child play with another Association because of some personal hardship. The Player Eligibility Chair shall have the authority to refuse any application for player movement, giving cause. The Chairperson shall advise the affected Association President by email or writing of the decision, outlining the reasons for refusal, within 48 hours of the decision. A copy of the Chairperson’s letter shall be forwarded to the player’s parents. Where an application is rejected due to lack of information and the applicant or the Association is able to provide the Committee with additional information, the Committee will re-evaluate the application within 7 days of receipt of the additional information. (ii) The Association President has faxed or emailed the completed Application for Player Movement to the B.C.B.A. Player Eligibility Chairperson. The original Application for Player Movement including appropriate fees and supporting documentation must be immediately forwarded to the B.C.B.A. Office. The Player Eligibility Committee shall consist of a Chairperson and two other persons appointed by the B.C.B.A. Executive Committee. The Player Eligibility Committee shall meet at the call of the Chairperson, as required by the volume of Applications. The Committee shall deal with an application within 10 days of receipt. A B.C.B.A. Application for Player Movement form shall be utilized. The player and the player’s parent(s) shall acknowledge by means of signatures their acceptance of the B.C.B.A. By-Laws, Rules, and Regulations, prior to making an application for player movement. The player must then obtain a player movement approval from the Association where he resides, indicated by the signatures of the Association president (or, in his/her absence, vice-president) on the application form. Note 1: Such a release shall be effective as of the date the application for player movement is approved for the period specified under rule 6.05. The player shall next obtain an indication of the willingness of the proposed new Association to accept him or her, as indicated by the signature of the following Association officer: president, or in his/her absence vice-president. Note: An Association indicating willingness to accept a player when the resulting player movement would be contrary to this Section or to the boundary Regulations shall be subject to fine or suspension at the discretion of a majority of the B.C.B.A. Executive Committee. The completed Application for Player Movement Form shall be submitted to the B.C.B.A. Player Eligibility Chairperson and shall be held for consideration by the B.C.B.A. Player Eligibility Committee. No player movement shall have effect until approved by the Player Eligibility Chair. An incorrectly submitted or incomplete Application, as determined by the B.C.B.A. Player Eligibility Chair, may not be dealt with by the B.C.B.A. Executive Committee. Further, no application may be approved unless the resulting player movement would be specifically allowed in this Section or in the boundary regulations. No application shall be considered without the consent of both the player and the player’s parent(s). A player who changes addresses and moves outside the boundaries of their current association is permitted to continue playing for their previous association until he/she reaches a new age division. Single Season Teams: on or before April 1st. For Spring Leagues: on or before April 1st. For Summer Leagues: on or before July 1st. PLEASE NOTE: Releases received after the above date(s) may not be approved. Associations playing in either league must provide, via the Association President, written notice to B.C.B.A. by December 1st for 15U AAA, January 1st for 15U AA and February 1 for all other Single Season divisions. Such notice will include those person(s) authorized to make decisions for the teams in regard to schedule, travel requirements, etc. 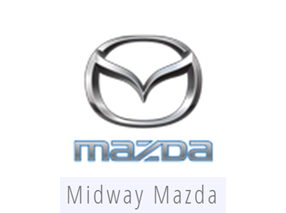 Any withdrawal from this commitment after February 15 will result in a $500.00 assessment for the association. Associations not fielding teams at the start of the season may not field one in the summer. Note: There are no rules that require associations to field teams in either single season AAA league. Single season teams must submit a roster to the B.C.B.A. director for that division prior to April 1. Associations will be allowed to have a maximum of three (3) out-of-catchment players at the 15U AAA level. Any player, including those who have played in other leagues, may be added to a roster prior to June 1. For the purpose of this rule the word “leagues” is interpreted as Little League, Premier League, Babe Ruth, etc. The word “association” is interpreted as Coquitlam-Moody, Rutland, Cloverdale, etc. Players from other leagues can be added to rosters prior to June1st. Players from another association cannot be added as they do not meet the release deadlines. A final roster must be submitted by July 1. During the month of June only players currently registered in an association (ie. A or AA players) may be added to a single season roster. Any changes to the roster must be clearly indicated on the final roster. In the 18U (Midget) AAA division only players who have at least one year of 18U eligibility remaining beyond the current playing season may be added to the roster prior to July 1. Injured players may be replaced as per Rule 9.09. Rosters must be produced as per Rule 9.10. Players added to a roster between June 1st and July 1st must have registered within the association by June 1st. A player cannot be registered for baseball on June 20th, be added to a spring A or AA roster for a short period of time, and then added to the AA or AAA roster prior to July1st. Any player meeting these roster deadlines is eligible to play in the provincial championships and is not required to play 50% of his team’s games. 18U (Midget) AAA teams shall not be comprised of more than 18 players. Rules 6.01 to 6.05 shall not apply at the 18U AAA level. In the case of a player wishing to try out for a 18U AAA team and his residence is not located within the boundaries of such association, the receiving association and/or player shall notify in writing both the association wherein his residence lies and the 18U AAA Coordinator, at least five (5) days prior to the player practicing or playing with the receiving association. Failure to comply with this provision will result in the receiving associations being fined $200.00 for each player in which proper notification was not given. In order to be eligible to play in Provincial Championships, a player must be registered prior to June 1. In the case of double headers there must be a minimum of forty-five (45) minutes rest between games. Each person residing within the Associations boundaries, as approved by B.C.B.A., is eligible for player selection for that association. 13U (Peewee) Spring teams can have a maximum of 3 players who do not reside within the boundaries of their Association on their roster. Players who reside in open or neutral territory count towards out-of-Association numbers. Associations wishing to operate a tiered system in any division must provide written notice to B.C.B.A. of their intentions, clearly indicating the division, number of teams to be tiered at each level (AAA, AA, A), and the interlock they intend on competing in. This written notice is due to the B.C.B.A. 14 days prior to the start of the regular season. Note: Associations wishing to operate a TIERED (“AAA” “AA” and “A”) structure must fully understand the numerous options which could come into play when structuring their divisional Leagues and ultimately the formation of summer teams. Tiered associations who do not comply with Rule 8 will not be eligible to compete in post season play in the age division in which the violation has occurred. Any association with more teams in a division than listed in this paragraph, must obtain written approval from B.C.B.A. for the split of teams between AA and A which they intend to adopt. Associations fielding 15U (Bantam) A teams must apply to the B.C.B.A. by March 15 stating the number of teams they intend to field. Associations with more than 60 players after the formation of the AAA team will be expected to field one (1) 15U (Bantam) AA team and any number of 15U (Bantam) A teams. Associations with more than 72 players will be expected to field at least two upper level teams (15U (Bantam) AAA or AA). Associations not complying with this rule will not field any level of 15U (Bantam) teams in the summer. Any association fielding two or more teams at the 15U (Bantam) A or AA level will divide their registered players through a common draft and create their teams as evenly as possible. Associations may choose to field any number of AAA or AA teams. For purposes of summer ball all Spring Season “AA” players are eligible to play “AAA’ or “AA”. Spring Season “AA” players may not play in “A” summer ball without prior approval of the Division Chairman (Note – No “A” player will be replaced by a “AA” spring player). Associations which choose not to tier their spring league and are required to field a “AAA” team due to the number of players they have registered must then field a second team at the “AA” level before they will be permitted to field an “A” team. Be a registered player in an Association’s spring program. 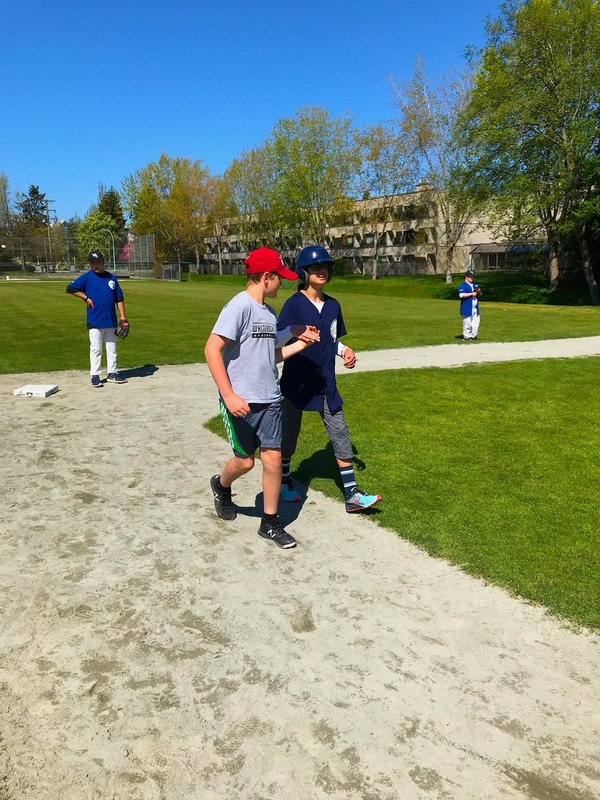 Have participated in at least one-half (1/2) of their team’s games in the Division Spring League represented to be eligible for summer ball, unless in attendance at school (boarding), or unless injury or illness prohibited them from playing (Doctor’s certificate required). Have participated in one-half (1/2) of their team’s summer league or zone schedule to be eligible for provincial tournament competition unless injury or illness prohibited them from playing (Doctor’s certificate required). Exception: A player who has played one-half (1/2) of their team’s games above who may have moved within the boundaries of another Association, during the current season, will be eligible for tournament competition with the Association with which they were initially registered. A player may play on only one tournament team in a calendar year at the same level. Each affiliated Association in good standing is eligible to participate in post season tournament competition. Each Association wishing to enter a team into post season play (summer league, zone or provincial) must submit their intention in writing to B.C.B.A. prior to June 15 and must submit their all-star entry fee for each team to B.C.B.A. by July 1. Except for 13U (PeeWee) AAA which must declare their intentions by June 1. Any Association, who commits to playing in a summer program and withdraws from the league after July 1st, may be fined $250.00. Associations must field teams for summer play at the appropriate level based on the size of the association or associations which merge. For 11U (Mosquito AA and AAA), players who have not reached their 12th birthday by midnight December 31st of the current playing year. For 10U (Mosquito A) players who have not reached their 11th birthday by midnight December 31st of the current playing year. Only 11U registered players who have played in the 11U Division Spring League play may participate. AAA Tier I shall be for those teams composed of 11U (Mosquito) players, in any age combination for Associations having 96 or more registered players in the Spring Season. (Second team may participate in AAA Tier II, a fourth team is eligible for AA competition if an A competition team is fielded). 49 – 83 registered players in the Spring Season. (may compete in AAA Tier I competition with a second team allowed to compete at AA competition). AA shall be for those teams composed of 11U (Mosquito) players, in any age combination for Associations having less than 49 registered players in the Spring Season. (may request to compete in AAA Tier I or Tier II competition). 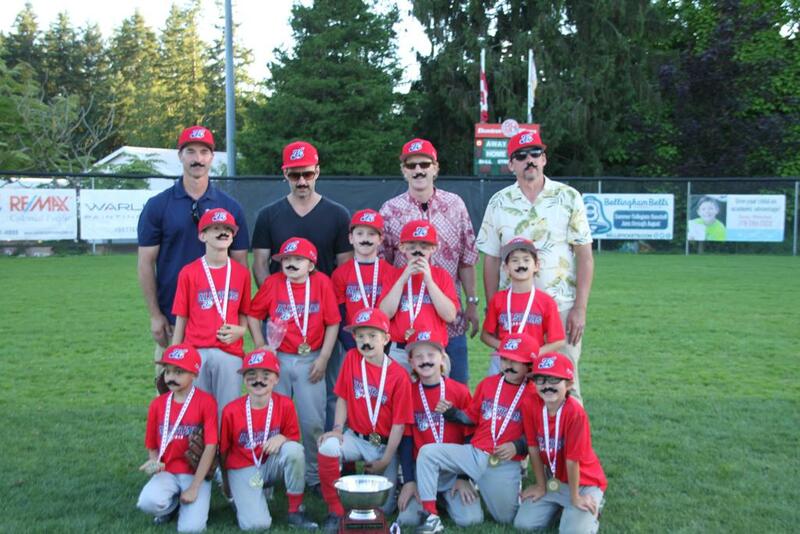 10U shall be for those teams composed entirely of 1st year 11U (Mosquito) players under 10. No 2nd year players shall be allowed on these teams. For any 11U summer team, a request may be made to the 11U Chair to have the team evaluated in consideration of playing in an appropriate level other than the one Rule 9.04(A) places them. 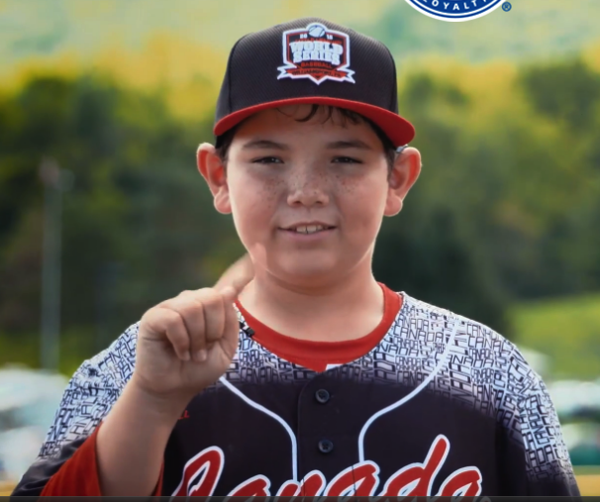 142 or more registered 13U (PeeWee) players – such Associations must field 2 “AAA” teams. 0 – 38 registered 13U players – 1st team may be A. These numbers form the basis for team placing for Summer Allstar teams and are to be used as a starting point only. Associations may apply to move up or down depending on their situations year by year. Some examples of moving down would include but are not restricted to: i) Low registration of second year players; ii) Poor turn-out of their “All-star” caliber players for summer play; iii) Overall lack of talented players in a given year. (iii) Directors of the 13U Division shall review each application individually and make their recommendations to the B.C.B.A. Board of Directors for approval. The 13U Directors will research the applications and make their recommendations based on the following: i) Spring inter lock performance; Tournament Results; ii) The 13U Director’s own observations throughout the year; iii) Feedback from other associations during inter-locking. The B.C.B.A. Directors will make a ruling on each case no later than June 22nd each year. Feedback from other associations during inter-locking. B.C.B.A. will request such a move of the Association to play up by June 15 each year. B.C.B.A. Board of Directors shall permit appeals of this decision up to and including June 22nd each year. For the purpose of determining an Association’s numbers the following criteria shall apply: i) Organizations must include all registered 13U (PeeWee) players to determine the number; ii) Associations merging for summer play must include all 13U (PeeWee) players from the merging Associations to determine numbers. NOTE – a merger for this purpose shall remain more than three players. In the event an Association chooses not to field a team in the division specified by B.C.B.A. then all efforts shall be made to provide the opportunity for as many of their players to play summer ball as possible. Associations who tiered in the spring will be permitted to field an “A” Allstar team regardless of whether they first entered an “A”, “AA”, or “AAA” team provided that all their players come from with-in their regular season “A” team roster(s). Any remaining “AA” or “AAA” players may be released to adjacent associations to try-out for teams at that level. Those releases must be done before July 1 each year. 13U (PeeWee) summer ball teams can have a maximum of three players who do not reside within the boundaries of their association on their roster. Associations may field any number of 15U A teams. 15U Director’s own observations throughout the year and feedback from other Associations during the year. In the case of 15U AA team being requested to play 15U AAA, the team would be required to enter the 15U AAA Wild Card Tournament and earn a Provincial Berth, similar to a Zone Tournament. If the team is not successful, they will not be permitted to participate at the lower tier. Associations may field any number of 18U AA teams. Has the merging association played in an interlock basis during regular season? What is the size of player pool represented by the merging Association? Applications for merged teams must be received by B.C.B.A. no later than June 1 (or the first Tuesday regular B.C.B.A. meeting). If the application has not been received prior to June 1 the associations may not be allowed to merge for post season play. The philosophy in allowing merged teams is to provide for smaller Associations who might not otherwise have an all-star team to join with another Association to establish an opportunity for more players to participate in post season play. Note: When applying for a merger the number of players in the pool will determine the level of play to be entered (ie AA or AAA). All players must be registered with an Association player agent. Each team in the 15U (Bantam) and 13U (PeeWee) divisions may be comprised of a maximum of fifteen (15) uniformed players. There is no minimum number required. Each team in the 18U (Midget) division may be comprised of a maximum eighteen (18) uniformed players. There is no minimum number required. Each team in the 11U & 10U (Mosquito) divisions must have a minimum roster of 12 players. All players in attendance at a game must play and be on the line-up card. During summer league play teams may play with less than 12 players in the event of player unavailability. During a Provincial Championship teams must begin the tournament with a minimum of 12 players present and on the line-up card. Failure to begin the tournament with 12 players present and on the line-up card will result in the team being disqualified from the tournament. In the event that a player becomes injured or ill during the Provincial Championship the B.C.B.A. Director must be notified and be satisfied that the injury or illness is legitimate. Under special circumstances the B.C.B.A. Director may request a doctor’s note. In the event a player has religious convictions (ie. cannot play Sundays) the B.C.B.A. Director must be informed prior to the beginning of the Championship. If a team drops below 12 players during the Championship for other reasons the B.C.B.A. Director may disqualify the team or apply another penalty, such as an automatic out, at the Director’s discretion. In the event that a team’s roster drops below 12 players during the summer league (injury, illness, player quits, etc.) the team must immediately inform the Division Chair who will determine how to proceed. Every attempt must be made to replace the player and return to a 12-man roster. Teams are encouraged to carry 13 player rosters to avoid problems with this rule. Note: Exceptions may be permitted to this rule for individual league requirements with B.C.B.A. Executive approval. three or four coaches by those governing bodies. Each team entering summer play must complete an official B.C.B.A. team registration form (available online). The name of the player shall be listed exactly as it is shown on the player’s birth certificate or other acceptable document, in its entirety. EXAMPLE: “Arthur Roger White” NOT “Art White” or “A.R. White”. Each Association President shall confirm the eligibility of the players on the tournament team representing the Association by signing the roster form. All Summer League Rosters must be submitted to the Division Director by July 1. Failure to supply the roster on time may result in the association’s ineligibility to complete in post-season provincial play downs. Once the team registration form has been mailed to the B.C.B.A. no change can be made on the player roster except for illness of, or injury to, the players listed. Written certification from the attending physician and Association President as to the conditions necessitating the replacement. The original statement or statements MUST BE attached to the first copy (original) of the Eligibility Affidavit and carried with the team to all future tournament competition games. Statements, as required in Rule 9.09, must be sent to the B.C.B.A. Director responsible for the administering the summer division. If a selected player leaves the team and is replaced by an alternate player, the replaced player may not be returned to the team roster. However, when going to end of season out of Province Championships the replaced player may be re-acquired as one (1) of the pickup players. The replacement player must have played for the team’s association during the spring season. Replacements from other associations are not permitted.If the replacement player is not on a summer roster he must have played at an equal or lower level within the same age division during spring play. For example, a 15U (Bantam) AA team may use a replacement from 15U AA or A. The replacement player may be on another summer roster of a team at a lower level within the same age division in the same association. In this case, when added as a replacement player, the player shall be deleted from the other roster and may not be re-added at a later date. If an association has two summer teams at the same divisional level (for example: two 13U AA summer teams) the replacement player cannot come from the other team at the same level. It is basis for protest when the Business Manager, Manager or Coach of a tournament team fails to present the Team Registration Form and Birth Certificate or documents and entry fee cheque (or cash) at the scheduled pre-tournament coaches meeting or at least thirty (30) minutes before scheduled game time when requested to do so by the Tournament Director or a B.C.B.A. representative, or the Business Manager, Manager or Coach of an opposing team. The failure to produce the documents shall result in a $500.00 fine and the team may be disqualified from the tournament. Managers and coaches should be of the legal age of nineteen (19). However, in the event underage managers and coaches are to be utilized, the Association executive must satisfy itself that these managers and/or coaches display the necessary qualifications to be in full control of their team. Two coaches may be used on the baseline as base coaches. A coach or coaches may not switch coaching boxes during an inning. Players, managers and coaches must remain in the dugouts, on the benches or in the prescribed areas throughout the game. Managers and coaches must display leadership and sportsmanlike conduct at all times. BCBA will develop, provide and access coaching initiatives from year to year correlated to BCBA programming generally. As it evolves year to year, programming may or may not require certification. Costs and coaching program outlines for the coming season will be established and provided by BCBA to the Affiliated Associations prior to the Annual General Meeting each year. Players selected for any Association team in accordance with provisions set forth in the “Player Selection Plan” adopted by the local Association will prohibit any player from participating on any team in another baseball program. The primary purpose of this rule is to prevent any possible injury to a young ball player, particularly in the case of pitchers. A baseball team/program attached to a public or private educational institution (school) is not interpreted as a baseball program for the purpose of this rule. Exception: 15U (Bantam) AAA players may practice with PBL programs at the discretion of their home association when that association chooses to establish a relationship with one (or more) PBL programs for the purpose of player development. Playing in any exhibition, tournament or league games is not permitted. An 18U AAA player may be on the roster of one 18U AAA Team. A player on an 18U AAA Team Roster may not play 18U AA at any time. A player on an 18U AA Roster may play on a call-up basis at 18U AAA. Should that player play more than five games (league, exhibition, tournament, other) at 18U AAA in one calendar month, he/she may not return to 18U AA at any point in the season. A player on an 18U AA Roster may not play in the 18U AAA provincials. A player on the roster of either a 18U (Midget) AA or AAA team may play on a call-up basis at 18U (Midget) Premier. Rosters will be frozen on July 1 with no further player movement. When being used as a call-up at a Premier level, an 18U (Midget) AA/AAA player may play for any PBL franchise, regardless of their affiliation to B.C.B.A. This is subject to PBL rules and the PBL team would have to ensure proper insurance coverage was in place. Any pitches a pitcher threw on a call-up basis would count toward his limits. A 18U (Midget) AA/AAA player is allowed to be on a Premier roster for the purpose of being used as call-up. That any 18U (Midget) age player, not presently registered with a B.C.B.A. Association may be used at the 18U (Midget) AAA level, for a maximum of 4 games, prior to June 1st. For players who have least one year of 18U eligibility remaining beyond the current playing season this date will be extended to July 1. Associations must notify B.C.B.A. Division Chair prior to the game being played when a call-up is being used from the PBL franchise. Failure to notify B.C.B.A. may result in a $200 fine per player and per offence. A maximum of two (2) players that are not presently registered with a B.C.B.A. Association may be used per game. Associations would need to ensure proper insurance coverage is in place. For tracking purposes coaches are required to inform the B.C.B.A. director responsible for the 18U (Midget) division when a player is used under this rule. Failure to make this notification will result in a $200 fine. Any member of BC Baseball (coach, local association executive, etc.) upon learning that a player is actively playing in another baseball program must immediately inform BC Baseball. BC Baseball will immediately conduct an investigation into the allegation in consultation with the local association. BC Baseball may choose to indefinitely suspend the player during this investigation if there is evidence to support the allegation. Should BC Baseball determine that a player is in violation of Rule 12 the BC Baseball disciplinary committee shall determine the applicable consequences. These consequences may range from a warning to the player becoming ineligible for the remainder of the playing season, depending on the circumstances. A player in violation of this rule will not be considered an illegal player under rule 27 for the purpose of forfeiting games. BC Baseball will only consider retroactively forfeiting games in which the player participated in, while also playing in another program, if there is evidence to demonstrate the association or team coaches had previous knowledge that the player was in violation of rule 27 before allowing the player to participate in their program. 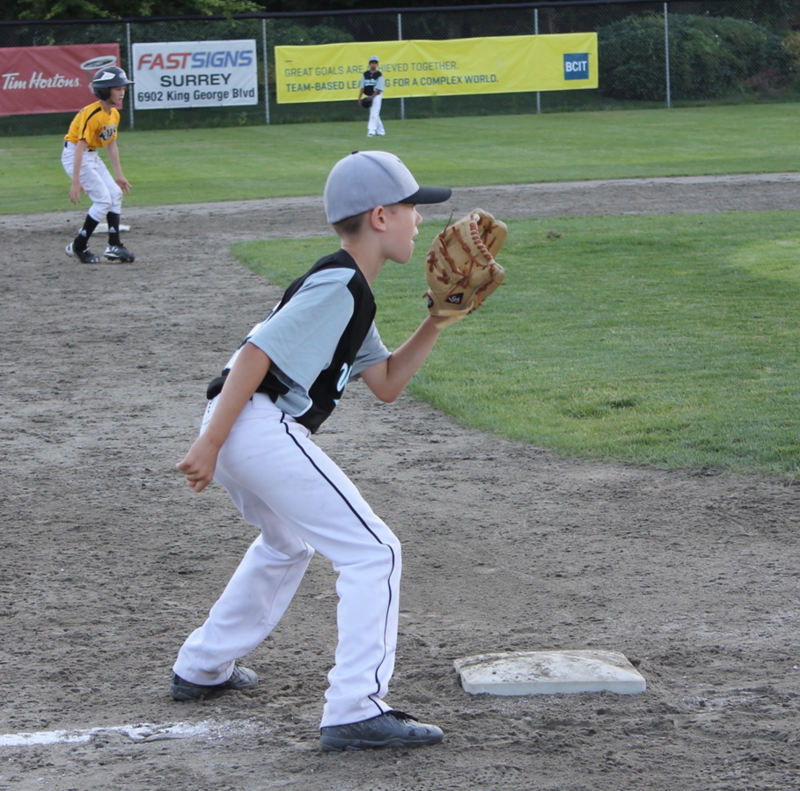 Associations are permitted to charter teams with BC Challenger Baseball. 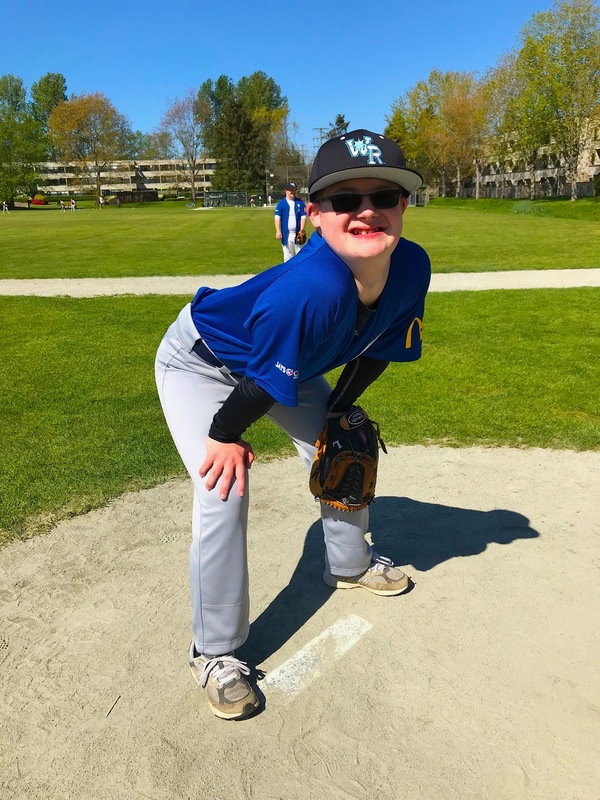 Participants in BC Challenger Baseball may have dual affiliation limited to BC Baseball and BC Challenger Baseball. any other unreasonable conduct which brings the game into disrepute, including but not limited to, abusive use of alcohol, non-medical use of drugs, use of alcohol by minors. Note: This code of conduct applies to all sanctioned baseball activities including but not limited to practices, players/coaches watching games as a spectator, and off-field conduct during team sanctioned road trips. repeated incidents or disrespectful, offensive, abusive, racist, or sexist, comments or behavior directed towards others, including but not limited to peers, opponents, athletes, coaches, officials, administrators, spectators and sponsors. coaches or associations recruiting players who reside in another association’s territory. Recruiting is defined as any communication with a family regarding another program and/or the opportunity to play in another program. Note: When an association does not field a team at the AAA level their players may be contacted about opportunities to play in another association at that level only. Players who reside in open territory may be recruited. Note: When an association cuts player from their 15U (Bantam) AAA team these players may be contacted by other 15U (Bantam) AAA teams about opportunities to play in other associations at that level only. It is the responsibility of each coach to verify (through email) that the player has been cut from the other association’s 15U (Bantam) AAA team prior to any recruiting occurring. This verification could be in email form. Coaches are to cut players in writing, so players/parents can forward this email as confirmation to other coaches they wish to speak to. The use of tobacco products, including smokeless tobacco/e-cigarettes, illegal substances and alcoholic beverages in any form, is prohibited on the playing field, benches, dugouts, or any area within the boundaries of the park by players, managers, coaches, umpires or any official. PENALTY: Automatic ejection from the game. Players, managers or coaches engaging or persisting in conduct or actions unfavorable to the spirit, principles and objectives of good sportsmanship shall receive one warning from the umpire. If the offense or offenses continue, offender or offenders will be removed from the game. The B.C.B.A. disciplinary committee shall have the power to suspend any coach, manager, parent, or other team official violating the provisions of Rule 13. This committee will conduct an investigation as they deem appropriate and will communicate their decision to the individual being suspended and the association president. Any decision made by the disciplinary committee may be appealed through the appeal process outlined in Rule 16. A suspension will be held in abeyance until the appeal is heard (except indefinite suspensions for physical contact with umpires or the playing of illegal players). Ejections of a coach, manager, player, parent, or other team official during a Provincial Championship do not carry an automatic one game suspension at any level of play and are instead reviewed by the B.C.B.A. director in charge of the Championship who will determine if a suspension is warranted. The B.C.B.A. director has the authority to use this process during a provincial championship to conduct an investigation into any incident to witnessed or dealt with by the umpires. The B.C.B.A. will receive a written ejection report from the umpire. The B.C.B.A. director (may also include umpire in chief) will meet in private with the ejected individual and one other team official. The ejected individual will have an opportunity to read the umpire’s report and provide his perspective to the B.C.B.A. director. The B.C.B.A. director will then determine whether further discipline is warranted and will advise the Head Coach of the decision in private. Note: The B.C.B.A. director has the power issue a suspension for the duration of the Provincial Championship. Should a director feel a further suspension is warranted he/she will refer the matter to the B.C.B.A. disciplinary committee at the conclusion of the tournament. Parents and spectators attending B.C.B.A. sanctioned events are expected to role model appropriate behavior for the youth players competing on the field. When conflict situations occur, parents and spectators are expected to resolve the conflict appropriately. Players, coaches, and umpires have the right to participate in the game without being subjected to abuse or distractions from outside the playing field. Examples of unacceptable behavior include but are not limited to: showing disrespect to umpires, opposing players, coaches, parents, and league administrators including: taunting, insulting language, angry outbursts, gestures, and physical aggression. The consumption of alcohol is not permitted at B.C.B.A. sanctioned games. Coaches are expected to make their best efforts to ensure these expectations are met by their parents and supporters. the field of play as per the requirements of Rule 14. The B.C.B.A. 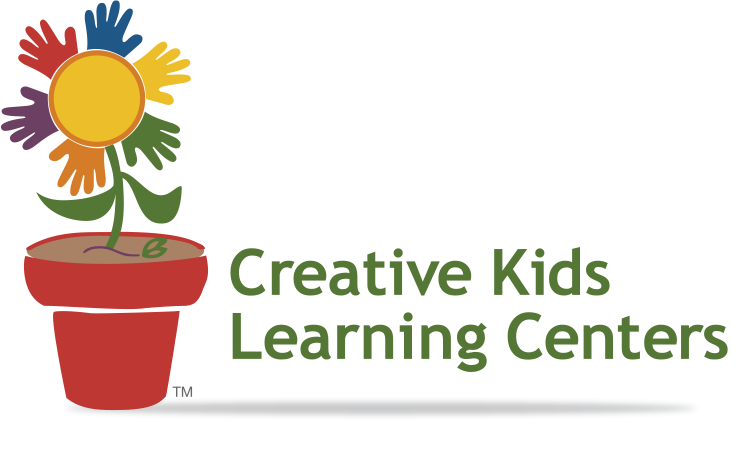 may review any reports submitted in writing regarding unacceptable parent behavior and issue discipline as they feel warranted. This rule will apply to all B.C.B.A. sanctioned games, with particular emphasis in tournament situations. Travesty of the game is defined as an attempt to intentionally lengthen or shorten a game or manipulate the score of a game by any means that has players “not playing to win”. This would include batters or runners obviously attempting to make outs, pitchers obviously trying to miss the strike zone when pitching and fielders obviously trying to make errors. The penalties for making a travesty of the game will be: firstly, the ejection of the manager and Rule 13.12 (a) shall apply. This rule may be enforced by the umpires or a tournament director. Secondly, if a travesty continues; default of the game and if continued during a tournament, disqualification of the team from the remainder of the tournament. Written reports by umpires will be forwarded to the BCBA Discipline Chair as soon as practically possible. Additional sanctions may be levied by the BCBA Discipline Chair at any time, and may extend to the players involved. That artificial noise makers, including but not limited to air horns, cow bells, thunder sticks, and bottles filled with rocks, are not permitted to be used by players, coaches, and spectators. Any Umpire’s decision which involves judgment, such as, but not limited to, whether a batted ball is fair or foul, whether a pitch is a strike or a ball, or whether a runner is safe or out, is final. No player, manager, coach or substitute shall object to any such judgment decisions. Players leaving their position in the field or on base, or managers or coaches leaving the bench or coaches box, to argue on BALLS AND STRIKES will not be permitted. The Umpire will warn them if they start for the plate to protest the call. If they continue, they will be ejected from the game. If a manager has reasonable doubt that any Umpire’s decision (excluding judgement calls) may be in conflict with the rules, the manager may request to approach the Umpire to and ask that a review of the ruling be made. Such request shall be made only to the umpire who made the decision. The Umpire may reject a review. If the Umpire permits the review of the decision, the umpire making the decision may ask another umpire for information before making a final decision. If the umpires consult after a play and change a call that had been made, then they have the authority to take all steps that they may deem necessary, in their discretion, to eliminate the results and consequences of the earlier call that they are reversing, including placing runners where they think those runners would have been after the play, had the ultimate call been made as the initial call, disregarding interference or obstruction that may have occurred on the play; failures of runners to tag up based upon the initial call on the field; runners passing other runners or missing bases; etc., all in the discretion of the umpires. No player, manager or coach shall be permitted to argue the exercise of the umpires’ discretion in resolving the play and any person so arguing shall be subject to ejection. A manager is permitted to ask the umpires for an explanation of the play and how the umpires have exercised their discretion to eliminate the results and consequences of the earlier call that the umpires are reversing. Once the umpires explain the result of the play, however, no one is permitted to argue that the umpires should have exercised their discretion in a different manner. Nothing set out in Section 13.11 (b) through (d) will prevent the right to protest under any other Section of this Rulebook. Contravention will result in the person being ejected from the game. harass or verbally abuse any official on the field of play before, during or after any game. Contravention will result will be the person being ejected from the game subject to further possible discipline by BCBA. on a half swing, if the manager comes out to argue with first or third base umpire he can be ejected as he is now arguing over a called ball or strike. If a member of the coaching staff and/or player is ejected from a game (exception Provincial Championships), they may not participate in their next scheduled game. If a member of the coaching staff and/or player is ejected from the first game of a “Double Header”, they may not participate in the second game. In the event of a second ejection during the season the individual will automatically be suspended for three additional games. BCBA Discipline Chair will receive an ejection report and/or allegation of misconduct from the Umpire and/or Complainant. BCBA Discipline Chair will review forward the ejection report and/or the allegations of misconduct to the appropriate Affiliated Association President and a copy to the BCBA Division Director for that division. In the case of the BCBA Discipline Chair levying an Automatic Suspension under 13.12 (a) or (b), the BCBA Division Director will then circulate an email notice to all Managers of the division to inform the division Managers that a player or coach is suspended including the number of games set out by the BCBA Discipline Chair. If further disciplinary action deemed to be required by the BCBA Discipline Chair, outside Rule 13.12 – Automatic Suspension, then (c) to (e) below shall apply. If the Discipline Chair deems the misconduct in the ejection report warrants greater discipline than an Automatic Suspension under 13.12, the BCBA Discipline Chair will demand a written submission from the Affiliated Association President who will make the same demand of the person indicated in the ejection report. Upon receiving a demand for a written submission from the Affiliated Association President, the Person indicated in the ejection report and/or allegations of misconduct will respond directly to their local Affiliated Association President with his/her statement of defense. Additionally, he/she may provide written statements (which must be sent to the Affiliated Association President directly) by witnesses. The BCBA Discipline Chair will determine the time frame for all written submissions to be submitted to the local Affiliated Association President and subsequently to BCBA for review. In the event that at any B.C.B.A. sanctioned event an elected B.C.B.A. director feels that an umpire(s) have allowed a manager, coach, player, or parent to persist in violating the B.C.B.A. Code of Conduct, without taking appropriate actions, the Director may identify himself to the participants and issue one warning to the offenders, in consultation with the umpire(s). If the offences continue and the umpire(s) do not act, the Director may remove the offender(s) from the game. This authority will be extended to any tournament director or umpire supervisor at any B.C.B.A. 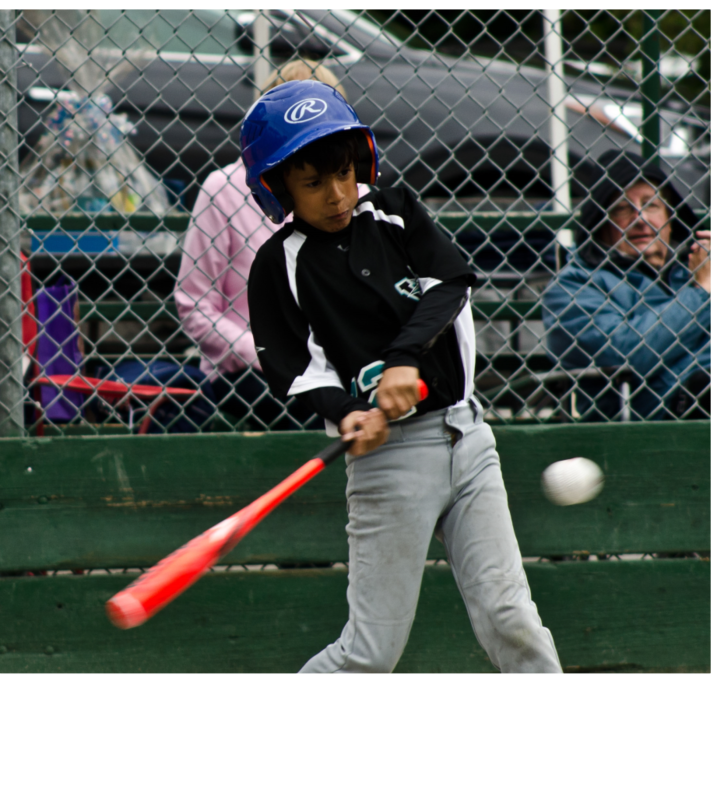 sanctioned tournament hosted by a local association and to local association executive members at any BC Baseball sanctioned event. In the case of local association executive members, they will only have the authority to take action against participants from their association. The purpose of this rule is to assist younger, possibly inexperienced umpires, in enforcing the Code of Conduct in the best interests of the game. Names of teams and coaches involved. Violations that occurred and actions taken. Recommended action, if any, to be taken. Teams or Leagues should be sponsored only by those organizations, firms or companies whose activities or products are not detrimental to the welfare of youth. Specifically, no firm or company whose advertisements reflect the sale of tobacco products shall be permitted to sponsor the program, League or team or be permitted to display any form of such advertising in connection with the program. Any advertising provided by firms or companies reflecting the sale of alcoholic beverages would need to be approved and deemed to be acceptable and responsible by the B.C.B.A. Board. Failure to comply with this paragraph will result in the association being liable for a $250.00 fine. The B.C.B.A. may seek the help of outside fundraising sources when deemed prudent whether for itself or for affiliated associations. Any decision made by the entire board of directors is final and cannot be appealed. Any decision made by a Director or Committee of directors may be appealed in writing by an Affiliated Association President to the BCBA President. An appeal may also be made when a director fails to respond to or make a decision, when required, within a reasonable amount of time. An appeal may be made by a coach, an association, or a parent (when it involves the eligibility of their child) and must be received by the BCBA President from an Affiliated Association President made within 48 hours of the Affiliated Association President having received the original ruling from the B.C.B.A.. Upon receiving an appeal, the President will form an Appeal Committee consisting of three directors, including a chair, from the executive committee who was not directly involved in the original decision. The President may appoint himself to this committee. This committee will investigate the appeal and will render a decision in writing within four days. In exceptional circumstances the president may choose to have the entire board of directors hear an appeal through an email or telephone vote or at the next scheduled meeting. The decision to do this is at the sole discretion of the president. In the case of an appeal of discipline to a player, coach, or parent, the individual may request a hearing. Appeals should clearly state the basis for an appeal. Appeals that simply disagree with the original decision will be denied. In the event an appeal is denied the association shall be invoiced a $100 administration fee. An appeal must be filed with an email confirmation from the association president confirming the association is supporting the appeal with the $100 deposit. In the case of parents/legal guardians appealing a player eligibility decision association approval is not required and the deposit is paid directly to BC Baseball by the parent/legal guardian. Automatic suspensions under Rule 13.12 are not available to the appeal process at BCBA. If Affiliated Associations disagree with a decision made by an umpire affiliated with the BCBUA with regard to an ejection, the Affiliated Association shall deal directly with BC Baseball Umpire Association. Any communication by the Affiliated Association with the BCBUA should be copied to the BCBA Umpire in Chief. A ‘carded’ umpire means the umpire is a current member of BCBUA. An umpire who is not a member of B.C.B.A. will be referred to as a “staff” umpire. 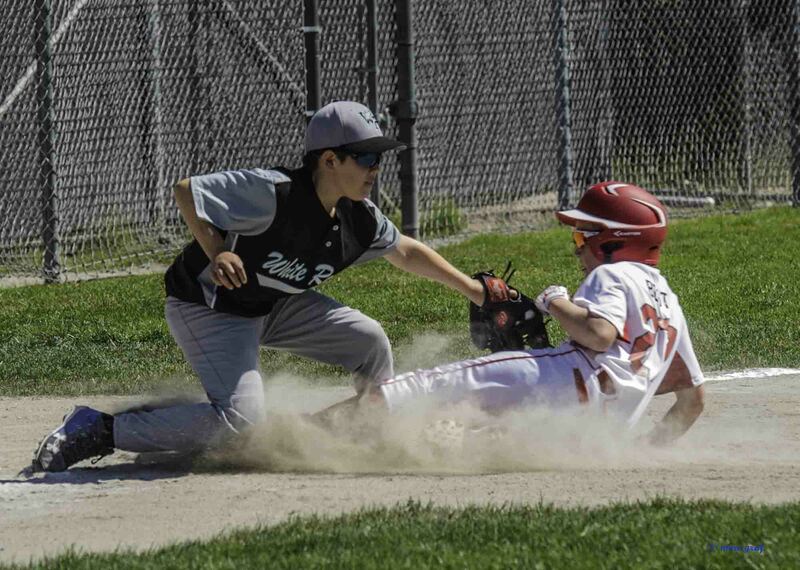 It is “strongly recommended” that only Level 2 (or higher) carded umpires be used for all games in 13U (Peewee) and higher divisions during all Spring League, Summer League, Single Season, Tournament and Provincial Championship games. 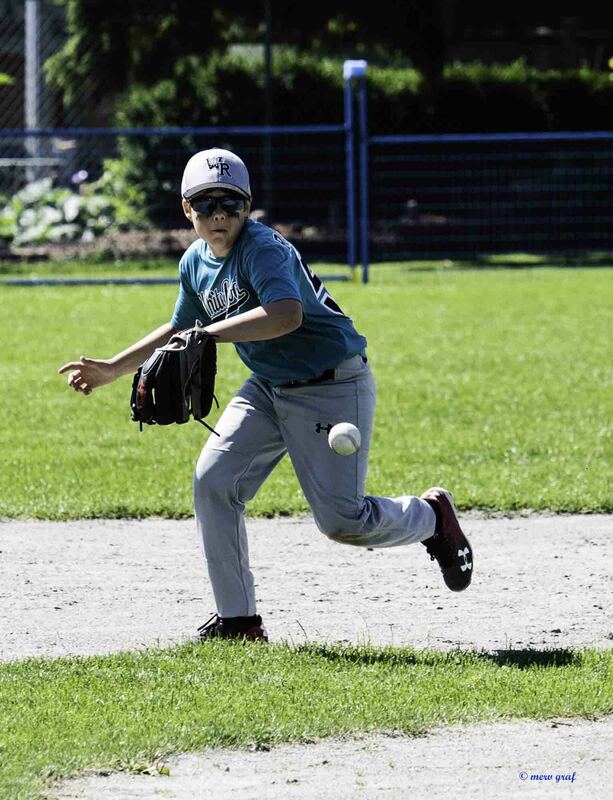 It is “strongly recommended” that only Level 1 (or higher) carded umpires be used for all games in 9U (Tadpole) and 11U (Mosquito) divisions during all Spring League, Summer League, Single Season, Tournament and Provincial Championship games. No youth umpires may officiate games in their same age division, only in lower (younger) divisions. For example, 15U (Bantam) aged umpires may only officiate in 13U (Peewee) and lower divisions. 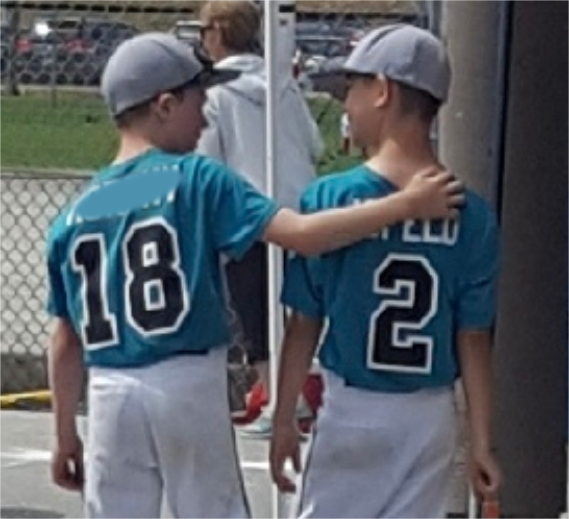 It is required that at least two umpires be used in all games in 11U (Mosquito) and higher divisions during all Spring League, Summer League, Single Season, Zone Tournament and Provincial Championship games. It is required that at least one umpire be used in all games in division during Spring League, Summer League, Single Season, Zone Tournament and Provincial Championship games. In the event that an insufficient number of umpires are present, or that staff umpires are used, the game will proceed, and the home association may be fined $50 by B.C.B.A. When no umpires arrive within 30 minutes of the scheduled start time of the game the teams may agree on replacement umpires. If the teams do not agree the game is called. If the game is called it will be made up at the grounds of the visiting team to offset their inconvenience. If only one umpire shows the game will proceed. Unless EXTREME CIRCUMSTANCES PREVAIL, it is strongly recommended that any parent or descendent, whether designated official or staff, not umpire in any capacity in any game in which their descendent is participating. Should the requirements of this rule need be circumvented it is strongly recommended that a “Waiver of Protest” be signed by the opposing managers or coaches agreeing to the use of the said parent or descendent as an official or staff umpire. 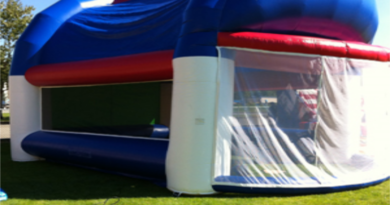 Any fence top marker band on any outfield fence is considered part of the fence and therefore, part of the playing field. If a ball hits any part of the outfield fence, including a top marker band and goes over, it shall be a home run, unless the ball hits the ground first, in which case it shall be a ground rule double. If a ball hits the marker band and bounces back into the field of play, the ball shall be considered to be in play. It is recommended that League officials make every effort to ensure that all players wear an athletic support with cup. It is mandatory that catchers wear an athletic support with cup in all divisions. Batters, on deck batters, base runners, players used as base coaches or bat boys in all age categories shall wear double ear flap helmets which give protection to the temple, ears, base of skull and top of head. Skull caps and wraparound head gear are not to be used by any player as so defined. Chinstraps must be worn at 7U (T-Ball/Rally Cap), 9U (Tadpole), 10U & 11U (Mosquito), and 13U (PeeWee) divisions. It is mandatory that full catchers’ helmets or skull caps shall be worn by all catchers, in addition to a normal chest protector, shin guards, face mask – with throat protector – and athletic supporter with cup. 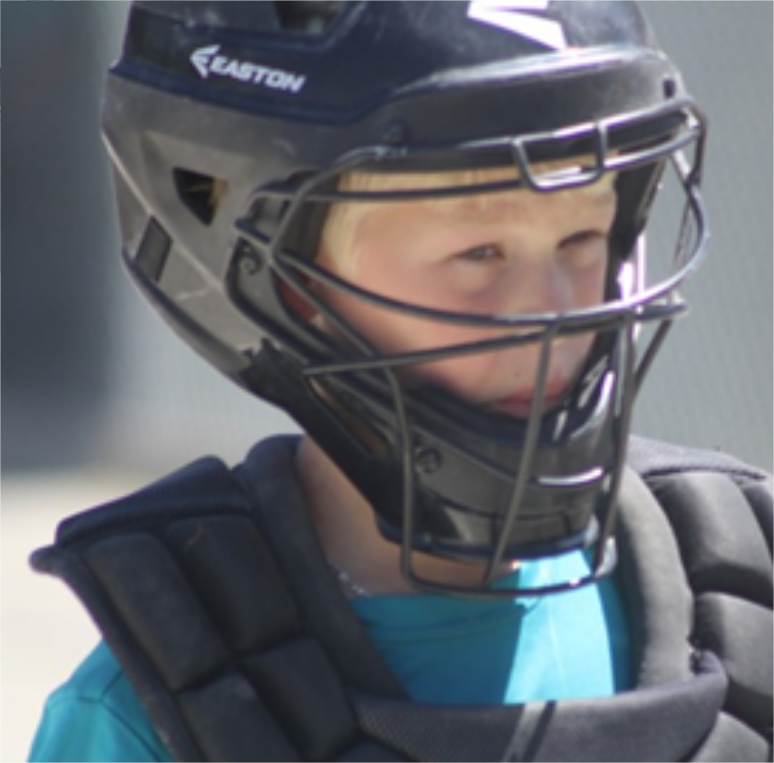 Catchers in all age categories must wear a protective helmet and mask while catching in practice and warm-up situations such as bullpen or between innings. Coaches must wear at least a mask in all practice and warm up situations. Associations not enforcing this rule will be subject to a fines as determined by B.C.B.A. Changes in bats at the 11U and younger levels for 2018 season as a Pilot Project for review after the season. The ball must weigh not less than five nor more than five and one quarter ounces avoirdupois, and measure not less than nine or more than nine and one quarter inches in circumference. A soft or resilient ball is recommended for 7U (Rally Cap/T-Ball) and 9U (Tadpole). 7U (Rally Cap/T-Ball) and 9U (Tadpole) – Sweater with distinctive number and cap. All other divisions – Conventional baseball uniforms including a shirt, pants, and socks. Coaches must wear at least a team cap in Spring season play. Managers or coaches occupying a coach’s box, must be dressed in full uniform except that they will be allowed to wear matching color coordinated long pants which differ from their players. Coaches and Managers not complying with this rule will not be allowed on the field during the game. Metal cleats are not permitted in 7U (Rally Cap/T-Ball), 9U (Tadpole), 10U & 11U (Mosquito), and 13U (PeeWee). Metal cleats are permitted at 15U (Bantam) and 18U (Midget) provided they are not sharpened or pointed. It is recommended that all players wear fingered fielder’s gloves. It is mandatory at the 11U (Mosquito) division and higher that catchers wear a standard catcher’s mitt. It is recommended that at 13U (PeeWee) and higher first baseman wear a “trapper” glove. At the 10U and 11U (Mosquito) levels, it is recommended that the use of a safety base at first base be used during the Spring and Summer seasons. It is recommended that the use of post or pin design be used to prevent accidental slippage of the base. These bases are available at most sporting good suppliers. Scheduling and rescheduling of Summer League and Provincial Championships shall be the responsibility of the officers and executive committee. The B.C.B.A. will appoint a director or group of directors to administer each single season, summer season league, or summer season zone. The draw will be made by the B.C.B.A. Division Chairman. The draw will be decided by chance and the results given to the tournament chairman prior to the zone meeting which must be held by the hosting Association. Game starting times must be agreed upon by all concerned. Once agreed upon, times should not be changed except when necessitated by bad weather or darkness. Should a team drop out after the draw has been completed with less than 24 hours before the commencement of the tournament, then that team shall be considered to forfeit its scheduled games with the draw remaining unchanged. All rules that apply specifically to provincial championships will also apply to zone tournaments. The Division Chairman or designate assumes the role of Tournament Director whether onsite or accessible by phone. Scheduling and rescheduling of Provincial Championships shall be the responsibility of B.C.B.A. in conjunction with the host committee. All tournaments leading to the selection of Provincial champions shall usually be ‘round robin’ format. The Board of Directors of B.C.B.A. is allowed, at its discretion, to apply a different format on a case by case basis with cause. B.C.B.A. to advise participating teams, no later than the pre-tournament meeting, of the reason for the change from‘round robin’. In the event the hosting Association’s representative team should be the winner of the Zone or Summer, it should enter the Provincial Play-Off as the Zone winner and the runner-up from the Zone shall enter the Provincial Play-Off as the host team. In the event the hosting association does not have a representative team in the Provincial Play-Offs it will automatically be entitled to field a “Host” team. This team must be the identical team which represented the Association in the Zone Play-Offs and subject to Rule 9 in its entirety. Draw will be made by the Board of Directors, B.C.B.A. and not the host association. The B.C.B.A. division director will set the draw polls based on format by the B.C.B.A. Board of Directors. Game start times may be established by the hosting Association by the B.C.B.A. divisional directors must give final approval. Divide 8, 10 or 12 teams into two pools (A & B). Method used to divide teams into pools to be determined by B.C.B.A. Should a situation arise where two or more teams from the same Association qualify for the round robin tournament B.C.B.A. will place those teams in different pools as long as the pools do not become unreasonably unbalanced in talent (does not apply to single season leagues). Teams within each pool to play each other once. The first and second place teams in each pool advance to the semifinals. Pool A winner versus Pool B runner up. Pool B winner versus Pool A runner up. The home team in the semifinal games shall be the winner of each pool. The home team in the championship game shall be decided by the flip of a coin. The winners of the semifinals play for the championship. PLEASE NOTE: Schedule formats are guidelines only and may be modified to local conditions with the approval of the B.C.B.A. Division Director. See Appendix A for samples. League Play – Under no circumstances can a team be expected to play more than two games in a calendar day. Under no circumstances will a team be expected to play in more than two (2) complete games in one calendar day except that they may have to complete a suspended game and then play two (2) more complete games in a calendar day. If, upon playing the remaining innings of the suspended game, the game took four (4) or more innings to complete, then the team will play only one (1) more completed game that calendar day. During the Medal Round (this includes Wild Card) teams will be permitted to play three (3) complete games in one calendar day. In the 18U (Midget) Division there must be a minimum of one (1) hour rest between games, and in 11U (Mosquito), 13U (PeeWee) and 15U (Bantam) a minimum of one and one-half (1.5) hours. All teams participating in a single season format, a provincial tournament (summer leagues, zones or finals) or end of season out of Province Championships are obligated to play all games as scheduled and to participate in all scheduled events including pretournament meeting and skills competitions. Exhibition games and invitational tournaments entered are secondary to BCBA scheduled games. Entry into exhibition and invitational tournaments require approval as per Article XV. Any change to a B.C.B.A. scheduled game requires the approval of both teams and the BCBA director of the division. Failure to participate in a scheduled game or event will result in the offending team’s Association being fined $500.00 per game or may result in a $ 500.00 fine per event by B.C.B.A. All rainout games between same zone teams (ie Vancouver vs Chilliwack / Victoria vs Nanaimo or Kamloops vs Kelowna) must be made up. The game must be rescheduled within 48 hours of the rainout and the makeup date forwarded to Division Director, so the schedule can be updated. Games that are not made-up will count as a ‘forfeit” for both teams. Rainouts that involve travel for island/interior teams to the mainland or for mainland teams to the island/interior are difficult to makeup. Therefore, the following policy will apply. If the game was postponed prior to the away team travelling (for example, before Victoria got on the ferry) the game will be made up. If the away team travels and the game is rained out the game will be made up if one of the teams is willing to travel to play the game. In this case, the game will only be rescheduled by B.C.B.A. if the result impacts provincial qualification (not seeding). Single Season Leagues – All games will be played to completion playing as many extra innings as necessary. If a tie game occurs, the game must be played until a conclusion. Games will continue to be played following baseball rules for the first and second additional inning. If the game continues to result in a tie, the third additional inning and all other innings played (to complete game) will follow the international Baseball Tie Breaking Rules (as per Baseball Canada Rule Book)Tie games will only be accepted when called by the umpire due to darkness, rain, or park curfew. 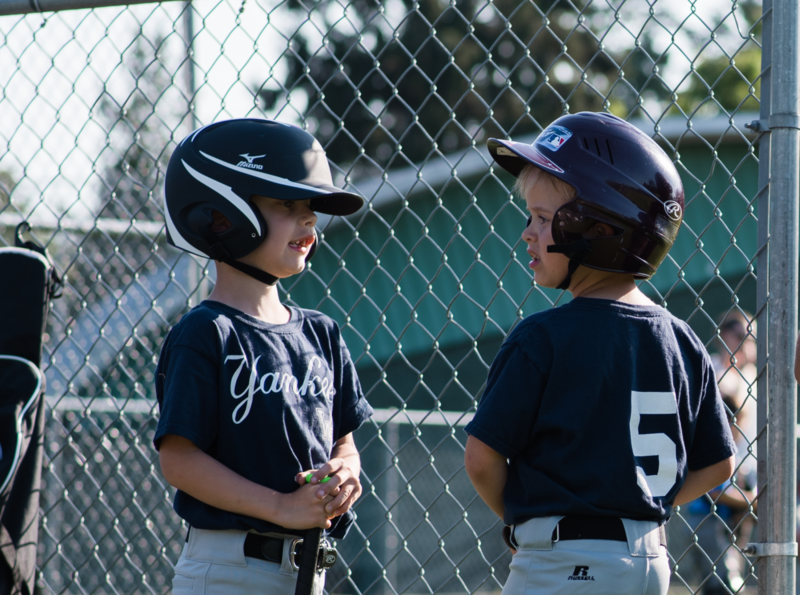 (Note: A park curfew must be announced by the home team prior to the game).Summer Season Leagues – Games tied after one extra inning will be declared a tie game.Spring Season leagues and local association tournaments will adopt their own rules for tie games. In the 11U (Mosquito) division ONLY if the score is tied after 6 innings one extra inning shall be played. If the game is still tied the game shall be declared over and the game declared a tie. This rule does not apply to semi-final or final games which must be played until a winner is declared. The extra inning will be an open inning. If a game is called for rain or darkness it is an official (complete) game if five innings have been completed or if the home team has scored more runs in four or four and a fraction half-innings than the visiting team has scored in five completed half-innings. If a game is called after it is an official game for another reason (light failure, fights, serious injury, etc.) the league director will determine whether the game is completed or whether it is suspended and should be completed as such. If a game is called for any reason before it is an official game (as described in Rule 22.03), it shall be considered a suspended game and is to be resumed from the point of curtailment. When a game is called during an incomplete inning the score reverts back to the end of the last completed inning. If in a Provincial Championship, a game is halted before it is a official game or if a regulation game is halted when the score is tied, or in an incomplete inning, it shall be considered a suspended game and must be resumed from the point of curtailment at a rescheduled time determined by the Tournament Director. Approved Ruling: Game is called due to rain with the home team winning 9-1 after six innings. In a Provincial Championship this is a suspended game and will be played to completion. Exception: A game called because of the ten (10) run rule shall be considered a completed game. In 11U & 10U (Mosquito) Provincial Championships, during all games played in the round robin portion of the schedule, no new inning will commence after 2 hours from official start time. If a game is within 20 minutes of the time limit after a complete inning the umpires will declare the next inning to be an open inning. If the open inning finishes before the 2-hour time limit expires than an additional open inning shall be played. In the event that a coach engages in tactics meant to delay the game for the purpose of having the time limit expire he shall be warned by the umpires. If the tactics continue the coach shall be ejected and the next inning will be played (Note: If the offending team is losing at the end of the inning the game is over). This rule may be applied and enforced by the umpires or the B.C.B.A. Director. of the park home run to end a game under the mercy rule all runners including the batter shall be permitted to score (as per the Official Rules of Baseball). Associations forming house or interlock leagues are free to make their own rules regarding substitution during Spring play. All players will bat in the order they are placed on the line-up sheet, whether they are on the playing field or the bench in any given inning. Should a player arrive late to a game his name may be added to the bottom of the batting order. This rule may not be used in the case of pre-existing injuries. Teams cannot announce before a game that they have a player who requires a courtesy runner should he reach base. If the player is injured and cannot run from first to second, they should not be participating in the game and running from home to first. An at bat ends when a player is putout or becomes a base runner. A runner who is injured may return to the game. If a player must leave the park, is injured, or is ejected by the umpire he is simply skipped in the batting order. He is not an automatic out. Defensive changes may be made at any time. at any defensive position except s/he may not pitch twice in the same game. A substitute who is withdrawn may not re-enter. Note: If, for any reason, a team makes an incorrect substitution and is not able to make a legal substitution, the game is forfeited to the other team. bats for Mundle. Pawlick can still re-enter for Sangara. If an injury occurs during a game to a player which makes it impossible for that player to continue in the game and there is no player remaining who is eligible to enter the game because of prior substitutions, then one of the players who has previously been withdrawn from the game may reenter the game. If, in the case of the first ejection of the game to a player, there is no player remaining who is eligible to enter the game because of prior substitutions, then one of the players who has previously been withdrawn from the game may reenter the game. If a second ejection to a player of the same team occurs and there are no players eligible to enter the game a forfeit will result. If, a team uses the Extra Hitter and only has ten (10) players on their game line-up, the first ejected player will be removed from their spot on the game line-up and the game will continue with nine (9) players. If a second ejection to a player on the same team occurs, a game forfeit will result. When a team is permitted to make an improper substitution as a result of an injury or ejection when no fresh subs are available, the opposing manager shall select the replacement player from the players already removed from the game. The DH rule shall be an option in the 18U Division only. All aspects of Baseball Canada Rule 6.10 apply. The current game pitcher may only pinch hit for the DH in an offensive inning. A pitching change may only be made in a defensive inning. If the game pitcher is removed from the game, he does not become a fresh substitute and is not eligible to re-enter. This rule may be used in any B.C.B.A. league playing 9-man ball as described in Rule 23.03. Each team has the option to use an extra hitter (EH) and bat 10 players. The EH must be marked on the line-up at the start of the game and must be used for the entire game. The EH may be interchanged with any other position during the game and can be changed multiple times (for example, the SS could become the EH and the EH become the SS). At the 18U (Midget) level a team may elect to use an EH and a DH. These rules are completely separate. 66-75 Pitches = 5 Nights Rest Same as spring numbers. Note #1: Pitches thrown in warm-up, bullpen, or ruled no pitch by the umpire because time was called prior to the pitch or thrown when ruled no pitch due to a balk do not count towards pitch count. Note #2: Pitch count is recorded after each game. A pitcher who requires rest after the first game of the day cannot pitch in the second game. Example: A 15U (Bantam) AAA pitcher who throws 50 pitches in game one is ineligible to pitch in game two. Note #3: “If a pitcher has two appearances in the same day his total pitch count for the day is combined for the purpose of rest. Example 1: A 15U (Bantam) AAA pitcher who throws 30 pitches in game one and 40 pitches in game two has thrown 70 pitches for the day and requires 2 nights rest. Note #4: “The following is a definition of a night’s rest. Example: Pitcher requires three nights rest after throwing a 1PM game on a Sunday. Pitcher rests Sunday night, Monday night, and Tuesday night and can pitch when he wakes up on Wednesday morning. A pitcher is permitted to exceed the maximum limit (for a day) to complete pitching to a batter. Note #1: Example #1: Pitcher starts a hitter at 43 pitches. At the end of the hitter the pitcher has thrown 47 pitches and the pitcher is removed. The pitcher’s pitch count is recorded as 47 and he requires two nights rest. Example 2: Pitcher starts a hitter at 93 pitches. At the end of the hitter the pitcher has thrown 97 pitches. The pitcher must be removed, and his pitch count is recorded as 95. Pitchers are not permitted to pitch on four (4) consecutive days. A player can only pitch on a third (3rd) consecutive day if ALL the following conditions are met…. His/her total pitch count on the 2 previous days does not exceed Spring “no rest” limit during Spring and does not exceed the Single Season or Summer Season “no rest” limit for his/her Division as defined under Rule 24.01. Example: A 13U pitcher may only pitch on a 3rd day, if his/her combined total for days 1 and 2 does not exceed 35 pitches. 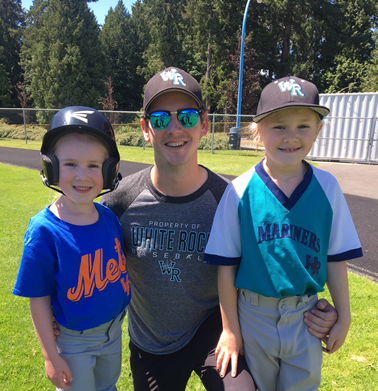 Pitching and catching on the same day is permitted at all age divisions in league and championship play between B.C.B.A. teams unless a tournament is an end of season Championship hosted in BC, in which case the current Canadian Baseball Rule applies. If a game is suspended the pitchers rest would be determined based on the number of pitches thrown to that point and recorded for that day. If a pitcher is ineligible to pitch at the beginning of a game, that is suspended after the first pitch, the pitcher remains ineligible to pitch in that game when it is completed at a later date. 13U pitcher throws 70 pitches on Thursday. Friday’s game is rained out (prior to the first pitch) and rescheduled for Saturday. Pitcher is now eligible to pitch in Saturday’s makeup game. 13U pitcher throws 70 pitches on Thursday. Friday’s game is suspended (after the first pitch) and is completed on Saturday. Pitcher is not eligible to pitch in Saturday’s continued game because he was not eligible to pitch when the game began. 13U pitcher throws 70 pitches on Thursday and the game is suspended and completed on Friday. The pitcher’s 70 pitches are recorded on their Thursday pitch count. Pitcher is not eligible to pitch when the game is continued on Friday because he now requires two night’s rest. If the game was completed on Saturday, the pitcher would be eligible to continue to pitch to their maximum pitch count for a day (15 more pitches). The pitches thrown in the completion of Saturday’s game would be recorded on the pitcher’s Saturday pitch count. A pitcher may not pitch twice in the same game. A pitcher who is removed for a pinch hitter or pinch runner during an offensive inning is considered to have been removed from the game as a pitcher for the purpose of this rule. A coach will be permitted to make a second trip to his/her pitcher during the same batter (if the pitcher’s pitch count is approaching the minimum rest requirement) to make a pitching change. B.C.B.A. pitching rules are always in effect for all B.C.B.A. teams at all times regardless of whether or not the event is sanctioned by the B.C.B.A. B.C.B.A. 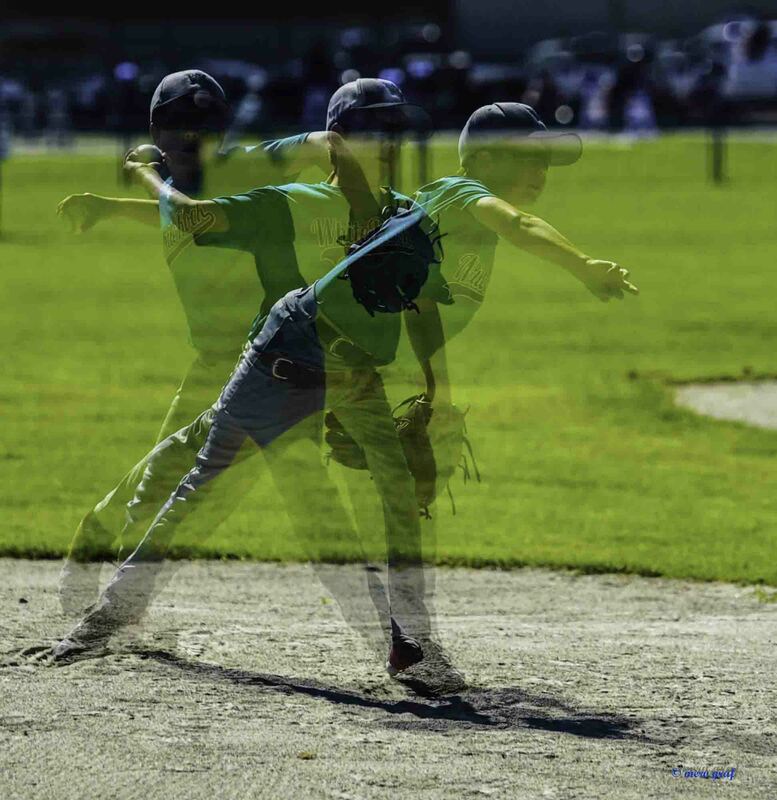 pitching rules will not be in effect for any team participating in end of season out of Province Championships or other tournament where the team will be required to follow only the regulations of that governing body. If a pitcher is about to exceed his/her maximum pitch count for the day the opposing manager and/or official scorekeeper and/or tournament director must inform the pitcher’s manager before the violation occurs. If a violation is discovered after it occurs the pitcher is simply removed from the mound and no further penalty will be invoked. If a pitcher pitches without proper rest as defined in Rule 24.01 the game will be forfeited to the opposing team. Such a violation may be protested by the opposing team up to 48 hours after the game upon the discovery of the violation. At a Provincial Championship, the violation must be protested at the time it occurs. If the violation is discovered while the ineligible pitcher is pitching, the pitcher will be removed from the mound and his manager ejected and suspended. If the violation is discovered after the ineligible pitcher has finished pitching the manager will be ejected and suspended. Games will never be forfeited at provincial championships due to any pitch count violation because the violation should have been discovered before it occurred. Managers will be responsible for tracking the pitch count of their pitchers and may assign this duty to their scorekeeper, assistant coach, etc., however it is ultimately the manager’s responsibility to ensure pitch count is followed. Each team is responsible for maintaining a log of pitches thrown by their pitchers on the form provided by BC Baseball. A team may request to view their opposition’s pitch count log prior to a game. A manager failing to maintain an accurate log may be reported to BC Baseball and may face supplemental discipline including the forfeiture of games. Under no circumstances will umpires be expected to track or enforce pitch count. In Provincial Championships the Host Committee shall appoint an adult who is responsible for tracking pitch count. The Official Pitch Count Tracker must inform a manager if he is about to use an ineligible pitcher under Rule 27.05. The Official Pitch Count Tracker shall either display a running total of each pitcher’s pitch count (flip chart) and/or make a public announcement of the pitch count at the end of each inning. A coach may request the current pitch count during an inning if it does not unreasonably delay the game. Prior to each game both Managers shall meet with the Official Pitch Count Tracker to determine which pitchers are ineligible to pitch in the game and which pitchers have pitching restrictions (ie. They may be pitched earlier in the day and can throw less than the daily maximum). The Host Committee should maintain one “Official Copy” of the pitch count logs that should be signed by each Manager after the game. The Host Committee is encouraged to display and maintain a second copy of the pitch count logs for public view where the tournament results are posted. Note: Associations are encouraged to adopt this procedure for local tournaments. Failure to adhere to any stipulations below will result in a minimum forfeiture of the game and a minimum five-game suspension to the coach in charge. All players in attendance at league games must play at least three complete innings of a six-inning game. No player may sit off for 2 consecutive innings. With the exception of the pitcher, upon re-entering the game defensively, the player MUST play 1 full defensive inning comprised of 3 outs or the opposing team scoring the run maximum. All players must play at least three complete defensive innings of a six or seven inning game. All players must play at least two complete defensive innings of a five-inning game. All players on the lineup must play a minimum of three consecutive defensive outs and complete at least one official plate appearance. No fair play rules are mandated for 15U AA, AAA and 18U AAA teams. Coaching staffs are required to provide a player agreement form acknowledging the no minimum rule, to be signed by each player and a parent/guardian before the start of league play. 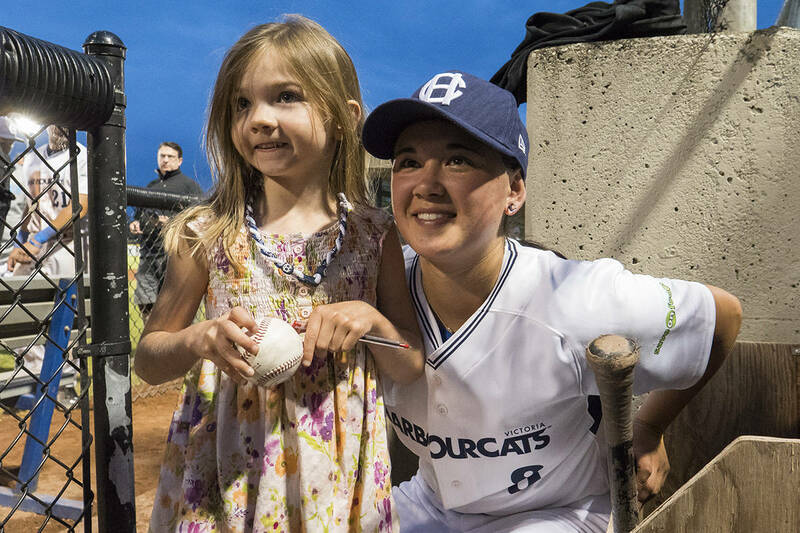 If a play is being made, or is about to be made, it is MANDATORY for players of all age groups to slide or make an effort to avoid a collision at all bases and home plate. Failure to do either will result in an automatic ‘out’. The ball is dead, and no runner may advance beyond the base that was last legally acquired. An umpire will have the option of ejection if the incident warrants such a measure. The force-play-slide rule is to ensure the safety of all players by preventing base runners from sliding wide of the base, most often in double play situations, to take out the pivot man who is in a vulnerable position and open to injury. This rule pertains to a force-play situation at any base or home plate, regardless of the number of outs. It does not apply to tag plays. Whether or not the defense could have completed the double play or makes an attempt to complete another play has no bearing on the applicability of this rule. The fielder is forced to avoid contact (by jumping the runner or other means) outside of the straight line between bases Contact with the fielder is permitted only on a direct slide into the base. Exception: A runner may slide or run away from a base only if the runner slides or runs in a direction away from the fielder in order to avoid making contact with or altering the play of the fielder. Interference shall not be called. With less than two outs, the batter-runner, as well as the interfering runner, shall be declared out and all other runners must return to the base they occupied prior to the pitch. Note: In the event the interfering runner was safe on the play only the interfering runner will be called out but all runners will return to the base they occupied prior to the pitch. If the interfering runner’s slide caused him to be safe (caused the fielder to drop the ball) then both the runner and batter are out. With two outs, the interfering runner shall be declared out and no other runner(s) shall advance. If the runner’s slide is flagrant and injures or had a high likelihood of injuring the fielder, the runner shall be ejected from the game. Any player during a game who is bleeding or who has an open wound, shall be removed from the field of play by the umpires. The player may return to the game only after the bleeding has stopped and the affected or open wound has been completely and securely covered to the satisfaction of the umpires. Should the same player start bleeding again or the affected area shows signs of bleeding, the umpires may remove the player for the duration of the game. 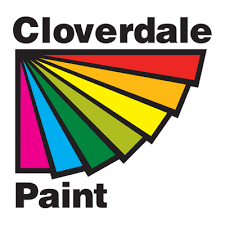 Should any blood be on the players uniform, it must be washed out completely to the satisfaction of the umpire prior to the player returning to the game. The substitute player is only a courtesy player until the original player returns. If a pitcher, while pitching, suffers an injury referred to in paragraph (a) above, the umpire will call a courtesy time for no longer than fifteen (15) minutes. If the pitcher cannot return in this time a pitching change must be made. Should a team only have nine players available at the time of an injury referred to in paragraph (a) above a courtesy time will be called for no longer than fifteen (15) minutes. If the affected player is unable to return after this time, then the game will be forfeited. Any base runner who removes (i.e. Throws helmet off) their helmet while running the base paths, is subject to put out. If, in the judgment of the game officials, a violation occurs the player will receive one warning. If the player in question, after receipt of one warning, is in violation a second time they are automatically called out. If in a given situation the violator represents the 3rd out in any given inning, any previous runs scored will count. The Infield Fly Rule applies in all divisions. House and interlock leagues are free to set their own rules regarding run limits for Spring play. 3 outs or 4 runs will constitute an inning (except that a team may score unlimited runs in its last at bat in the 6th inning). A 10-run mercy rule will apply after 5 innings. If, in the top of the sixth inning (or the top of the fifth if declared open), the visiting team goes ahead by ten or more runs, the coach of the home team will have the option of declaring the game over and concede the win to the visiting team. 3 outs or 6 runs will constitute an inning (except that a team may score unlimited runs in its last at bat in the 7th inning, plus all extra innings in the event of a tie game). Leadoffs are not permitted at the 10U & 11U (Mosquito) division. If there is a lead off as described the ball is dead and a no pitch shall be called and the runner(s) will be declared out. Leadoffs are permitted at all other divisions. When the pitcher is in contact with the pitching rubber, with the ball in their possession, preparatory to the act of pitching, all base runners shall return to their bases and cannot leave until the pitched ball crossed the plate. Note: When a runner is making a legitimate attempt to advance to the next base the pitcher cannot return to the mound and stand in a position preparatory to pitching for the purpose of having the runner return to their previous base. The intent of this rule is to eliminate the game of “chicken” played by base runners at this level. After a pitch, if the catcher has possession of the ball in fair territory, any runner between third and home who stops advancing must return to third base. If a runner does not return to third base and the catcher does not make a play or does not throw the ball back to his pitcher the umpire may call time. If the catcher chooses to make a play on a runner returning to third base the ball is alive and in play. The runner may advance. 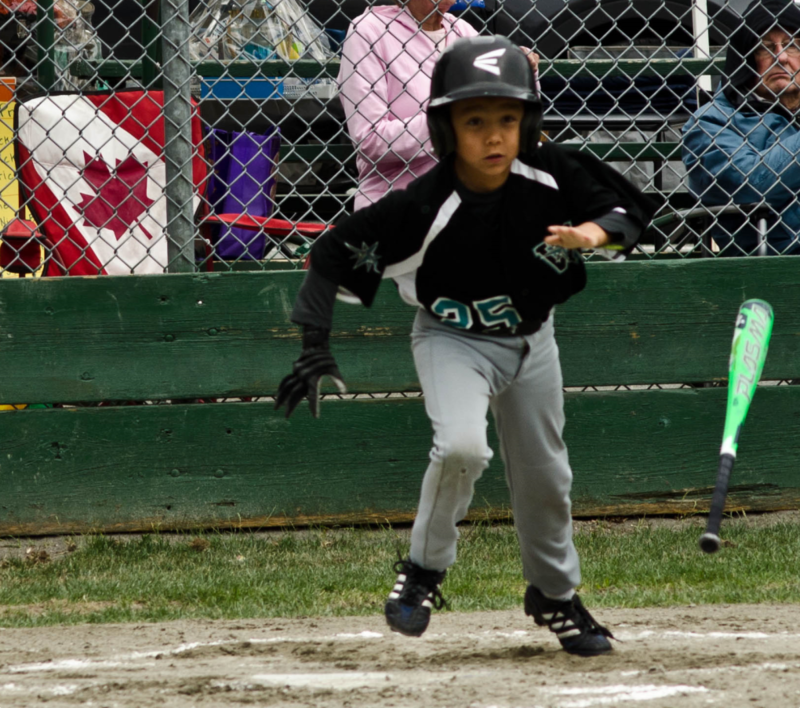 At the 10U & 11U (Mosquito) divisions, on a dropped third strike the batter is out and may not become a base runner. At all other divisions the batter is permitted to run on a dropped third strike subject to normal baseball rules. B.C.B.A. has the authority to overrule any umpire’s decision to forfeit a game when B.C.B.A. feels the forfeit was not in the best interests of the game or contrary to playing rules. In these circumstances B.C.B.A. may rule the game to be replayed, completed, or left unplaced as they determine is fit. Balks are called at the 13U (PeeWee) division and higher as per general baseball rules. At the 10U & 11U (Mosquito) level balks are not called except as follows: When with runners on base, the pitcher fails to deliver the pitch after beginning his pitching motion, the umpire shall call,”Time…no pitch.” The umpire shall relate to the pitcher that he must deliver the ball without stopping his motion as this is a ball. No runner may advance on the call. Any subsequent failure to deliver the pitch after starting his motion, the umpire shall call, “Time, ball,” and then charge the pitcher with a ball. No runners may advance on the call. Note: The intent of this rule is to prevent pitchers from stopping their delivery to homeplate when they see a batter square to bunt. An illegal player is one who is not legally a member of the League or Team for any reason including but not limited to the requirements as to age and/or residence. Playing illegal players shall result in forfeiture of games in which players participated illegally if protested by any of the League managers or officers in writing at any time during the season. Any manager or coach who has an illegal player(s) on their roster and plays the said player(s) shall be immediately suspended from coaching within B.C.B.A. pending a ruling and decision by the discipline committee of B.C.B.A. An ineligible player is one who is legally a member of the League, but who is ineligible to pitch because of a pitching regulation or rule violation or is ineligible to play a particular game because they have been in the lineup once and has been removed from the game or has been declared ineligible for other cause. Penalty for the use of ineligible player/pitcher shall be the immediate removal of the pitcher from the mound as pitcher or other player from the game and the removal of the manager/head coach from the game upon appeal by the opposing manager, or notification by the official scorer or League official, provided the official scorebook or other League records verify the ineligibility of the player concerned. The manager/head coach also becomes ineligible to manage/coach in the team’s next game in the case of an incorrect substitution and next two games in the case of a pitching violation. Note: In the case of an incorrect substitution the team must replace the player with a legal sub. If the team does not have any legal “Fresh” subs the game shall be declared a forfeit. For purposes of interpreting this rule, a player should not be considered in violation of the rules until at least one legal pitch has been thrown after the violation has occurred. Players and coaches who have been suspended for any reason, are declared “ineligible” to play or coach for the games that they are suspended. Notwithstanding anything herein, the penalty for playing or coaching while under suspension shall be forfeiture of the game including the possibility of further suspension. It is the responsibility and duty of the Tournament Director, official scorekeeper, opposing manager or coach, or any other official to prevent a player becoming ineligible (such as a pitcher, pitching too many pitches), by warning the manager or coach of the player concerned. 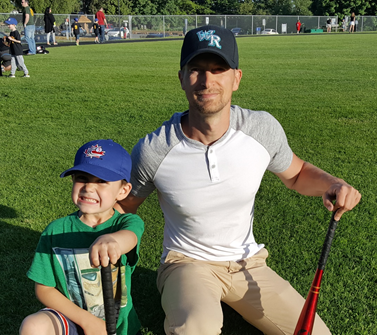 It is strongly recommended that Member Associations include in their local rules that no protests be allowed in 7U (Rally Cap/T-Ball), 9U (Tadpole), or 10U & 11U (Mosquito) Divisions. Protests shall not be permitted at the 10U & 11U levels during summer league play and zones except those based on the use of ineligible or illegal players. Protests are permitted at the 10U & 11U Provincial Championships. A protest based on a play which involved an umpire’s judgment call is not permitted. Umpires should make a public announcement to the crowd when a game is being played under protest. When a protest based on the interpretation of a rule is upheld by the League or the B.C.B.A. the game concerned shall be replayed from the point of protest and takes precedence over other circumstances such as weather or darkness. Protests will not be permitted at the 7U (Rally Cap), 9U (Tadpole), 10U (Mosquito) and 11U (Mosquito) levels. Any team manager, coach or other adult leader who withdraws a team from the playing field under any circumstances prior to the official completion of the game shall forfeit the game and all rights to protest. The B.C.B.A. Director assigned to the Championship will rule on all protests. The Director may choose to add other individuals to the Protest Committee, specifically the umpire in chief or other B.C.B.A. Directors who may be present; however, the final decision always rests with the Director assigned to the Championship. The Crew Chief shall suspend play and inform the manager of the opposing team and the Protest Committee of the protest. Both teams shall be sent to their respective dugouts or dressing rooms. Before the Protest Committee hears the protest the protesting manager/head coach must put forward a protest deposit fee of $ 50 cash. Should the protest be upheld, the fee will be returned. Should the protest be denied the fee will be retained by B.C.B.A. The Protest Committee, both managers/head coaches and the game CREW Chief shall retire to a private area away from the teams, spectators, and other persons off the field of play. The Protest Committee shall first hear the game crew chief. Secondly, the protesting manager/head coach shall have the opportunity to explain his/her protest. Thirdly, the opposing manager/head coach shall be given an opportunity to explain his perspective. Once the protest committee has concluded their investigation and interviews the managers/head coaches and game crew chief shall then leave while the Protest Committee discusses the protest in consultation with the tournament umpire in chief. Before ruling on the protest, the Protest Committee may confer with any person whom they believe may be helpful in assisting them to reach a decision. Once the Protest Committee has reached a decision the B.C.B.A. Director in Charge will advise the game crew chief and both managers/head coaches of the decision. The game Crew Chief shall put the decision into effect and order resumption of play from the point of suspension. No further argument or comment on the protest shall be entertained. The decision of the Protest Committee shall be final. There shall be no appeal to any other body. No protest shall ever be permitted in a Provincial Championship for the use of illegal players not challenged and proven before the scheduled starting time in question. Statistics are calculated based upon the games between the teams that are tied with each other, and not all of the games in the competition. If the first part of the rule places one team above others in the case of three or more teams involved in the tie, but the remaining teams are still tied, then the remaining parts of the rule are applied using statistics from the matches involving all of the original teams in the tie. In the event that a team involved in a tie has forfeited a game played between tied teams they will be automatically eliminated from the tie and the criteria above will be used to determine placement between the remaining teams. The team with the best win/loss record in the game(s) played between the tied teams will place higher in the standings. If the tie persists, the placement of teams will be dictated by the ratio of number of runs allowed per defensive inning. A defensive inning is defined as having taken the field and a pitch thrown. If the tie persists, the placement of teams will be dictated by the ratio of runs scored per offensive inning. An offensive inning is defined as having been at bat for at least one pitch. If the tie persists, then the team with the best won/loss record against the highest placed team not in the tie, followed by a comparison to the next placed team, etc., will place higher in the standings. If after the application of the four rules, there still remains a tie, then the four rules will be reapplied to the remaining tied teams, except that the statistics will be based on the games between only the remaining tied teams, and not all of the teams in the original tie. 10U & 11U (Mosquito) Divisions Only – if a tie persists then the records of all teams in the pool shall be used to determine the tie breaker. This rule applies to any Provincial Championship using a round robin format where the top two teams from each group advance to the semi-finals. In the event that there is a three-way tie for first place (three teams at 2-1 or 3-1 depending on the size of the group) the tiebreaking rules as outlined in Rule 29.01 will be used to rank the teams. (Note: This rule does not apply to a tie for second place where teams have 2 or more losses) The team ranked first will advance to the semi-finals. The 2nd and 3rd place teams will play a tiebreaker game to determine the second-place team. The ranked second in the tie will be the home team for the tiebreaker game. This game will be written in the Provincial schedule by B.C.B.A. and Rule 20.06 may apply. The purpose of this rule is to ensure that teams are no longer eliminated from a provincial with only one loss. 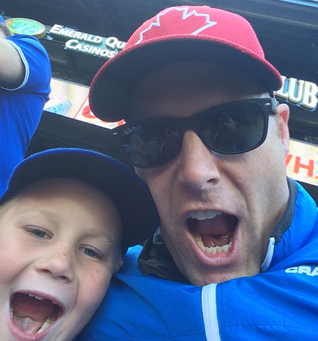 30.01 7U (Rally Cap) will follow the rules set out in the Baseball Canada Rally Cap Program. The B.C.B.A. is pleased to provide to its member affiliates the following rule variations covering minor divisional play in the 9U (Tadpole) Division. It is hoped that the SUGGESTED FORMAT be adopted into each organization’s respective programs. It is designed to get young people interested in the game of baseball by stressing and maintaining active participation of all the players; with mandatory and total free substitutions each inning and EMPHASIS PLACED ON TEACHING THE FUNDAMENTALS OF BASEBALL. All rules as listed in this hand book shall apply and unless specifically mentioned, all regular rule interpretations shall apply. The only differences are contained in the following. Playing Line is the arched line from the first and third base lines which is a guideline for the plate umpire to determine a fair hit ball. The playing line is the distance down the first and third base lines and from the tip of home plate and shall be fifteen feet (15′). A chalk line or other white material is then arched across the playing field. A Fair Hit Ball is a legally batted ball that in the plate umpire’s opinion will or could have firmly crossed the playing line, in fair territory, even if it is fielded before crossing the line. A Dead Hit Ball is a legally batted ball that in the plate umpire’s opinion will not or could not have firmly crossed the playing line, even if it is fielded. But, if the ball is in flight and is caught the batter is out and the ball is alive. All players turning 8 or 9 years old in the current year (or younger) are eligible to play. until the plate umpire is satisfied that line-up cards have been presented in legible enough form for the umpires to complete their duties. Home teams are to supply the umpires for their game. 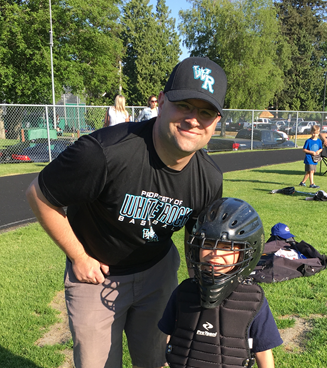 During a game, coaches or parents cannot position themselves on the outside of the backstop behind the umpire in order to coach the team or umpire. There will be warning and if this continues, the coach will be ejected. No new inning shall be started later than 2 hours and 15 minutes from the start of the game. The length of a legal game is 4 complete innings but no more than 6 innings of pitched baseball. 9 players allowed on the field per inning. You must have a minimum of 9 players starting the game. You can only dress 13 players per game, although you may carry as many spares as you like. 3 outs or a maximum of 4 runs per inning, with the last inning of play having a (10 run) maximum limit. All players must play the infield for a minimum of 2 innings and the outfield for a minimum of 1 inning per game. No player may play more than 2 innings in one position with the exception of the catcher who may play a maximum of 3 innings per game. All players must sit once before another player sits twice. All teams will take their last bats, no matter what the score is. There is no mercy rule in effect. When at bat, any team may pull their catcher off the bases to dress for the next inning when there are 2 outs. The last player out will replace them. A regulation hard ball is used. Base paths are set at 60 feet. Pitching shall be from 42 feet (players may pitch from 46 feet but it is not mandatory. If a player elects to pitch from 46 feet, they must start and finish that inning from 46 feet). All players may only pitch 1 inning per game. Pitchers can only pitch a maximum of 6 innings per pitching week. The pitching week is from Monday 12:01 a.m. to Monday 12:00 a.m. (Midnight). Any pitcher who delivers 1 pitch to a batter shall be considered to have pitched one inning. The pitcher may pitch from the “set position” without coming to a full stop before delivery. No “balk balls” will be called against the pitcher. 1 trip to the mound by coaches per inning – per player. Pitcher is to be removed on a 2nd trip to the mound by coaches. The pitcher removed due to this rule cannot return as a pitcher in this game in a later inning. If a batter is hit by a pitched ball, the batter is awarded first base. Any pitcher that hits 2 batters must be removed from the pitching mound. Base stealing is allowed. Runners may advance if there is an attempt to throw out a runner; the play is live until the pitcher has possession of the ball on the mound. However, if there are runners at 1st and 3rd base, the catcher may attempt to throw out the runner at second base but the runner at 3rd base cannot steal home. A runner at third must be hit home to score. No stealing home on a pass ball or on a missed throw back to the pitcher. Base runners must stop running once the pitcher has possession of the ball on the mound. Any runner that stops advancing to a base, when the pitcher has possession of the ball on the mound, the runner must return to the base he/she came from. Any base runner that overruns another base runner is declared out. Leadoffs are not allowed. The ball must cross home plate before any runner(s) can leave the base(s). No head first sliding allowed. The runner will be called out. Bunting is allowed. A bunt is considered a strike if missed or fouled. A batter that fouls a bunt on strike 3 is out. Batter cannot run on a third strike dropped by the catcher. Catcher interference rule is in effect. No pitch is to be called. One warning is to be issued to the catcher and if interference occurs again the batter will be awarded 1st base (per batter). The slide or avoid rule is in effect. The umpire will call obstruction on a defensive player if the bag or plate is not partly exposed. The runner will be awarded the base. Players will be called out for throwing their bat. If a player leaves a game because of an injury or an emergency, that player will be scratched from the line-up and the team will not be penalized. Players who arrive late will be added to the line-up. Home team is decided by a coin toss, unless specified in the tournament schedule. Tie breakers as per BC Baseball Rules. Winning team must report game score to concession stand. Birth certificates must be provided prior to the start of the tournament. Home team is required to have the umpires sign their scorebook. In the event of a protest, the tournament committee will review and make the ruling. Home team in semi-finals will be decided as to how they place in the round robin. Home team in the final will be decided by a coin toss. Trophies awarded to 1st and 2nd place teams. Participation medals will be awarded to all players. One MVP will be selected from each team for each game. All teams must provide a pitching log for the current week at the beginning of the tournament. Any member Association of the B.C.B.A. 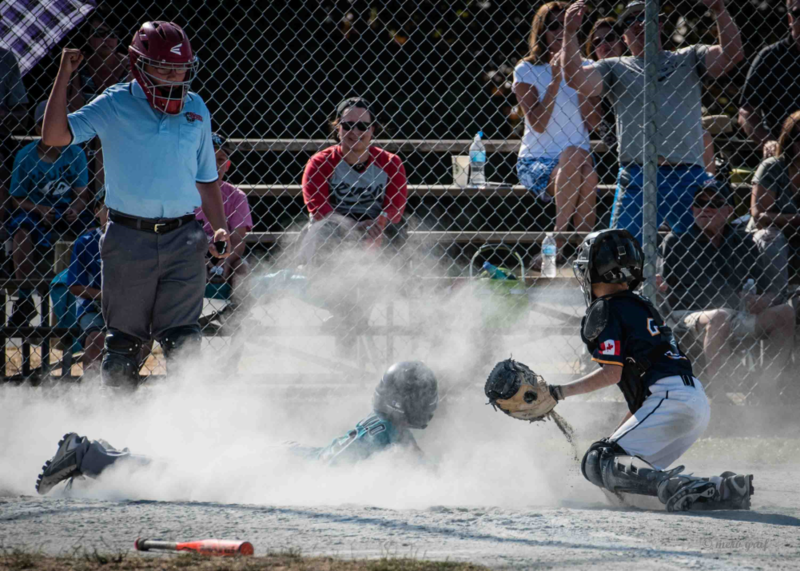 as so outlined in Rule 1 in its entirety and in good standing, desirous to host a Zone or Provincial Tournament competition, must submit their request in writing to the B.C.B.A. registered office, on or before the B.C.B.A. AGM prior to the Tournament year. Applications to host the event for multiple years will be considered. The name of the Association requesting the tournament. The name, address, and telephone number of the Association President, Secretary and Tournament Director. The name and location of the park or parks where games will be played. A brief summary of facilities available such as concessions, seating and capacity, public address systems, etc. Any extra activities, if any, planned for visiting teams and dignitaries. Approval to host a Zone play-off: i.e. Winning teams of two or more areas in the same zone, be left to the discretion of the appointed B.C.B.A. Chairman of each division as so outlined in By-Laws Article XIII, Section 1 and 2 and all preceding rules and regulations and/or the Board of Directors of the B.C.B.A. The board of B.C.B.A. will review applications received by the February 1st deadline and make awards to the winning association who will be notified prior to March 1st. The Board of Directors of B.C.B.A. reserves the right to request any affiliated member body to host any tournament competition with the member body having the right of refusal with just cause. The final decision on whether or not any member Association is awarded the privilege of hosting a tournament competition rests with the Board of Directors of B.C.B.A. Appoint an Official Scorer and an Official Pitch Count Tracker for all games. Assign qualified and competent umpires (except for 13U AAA, 15U AAA, 18U AA/AAA which are assigned by the BCBUA. 3-man system recommended for semi-finals and finals. Provide and maintain fields to an adequate standard and to ensure fields and surrounding areas are kept clean. Maintain accurate and updated standings and results. Support the B.C.B.A. Director in ensuring the Code of Conduct is followed by spectators including ensuring that spectators are not consuming alcohol during games. Designate an individual to provide regular game updates and other information to BCBA point of contact for dissemination to social media subscribers and the BCBA website. 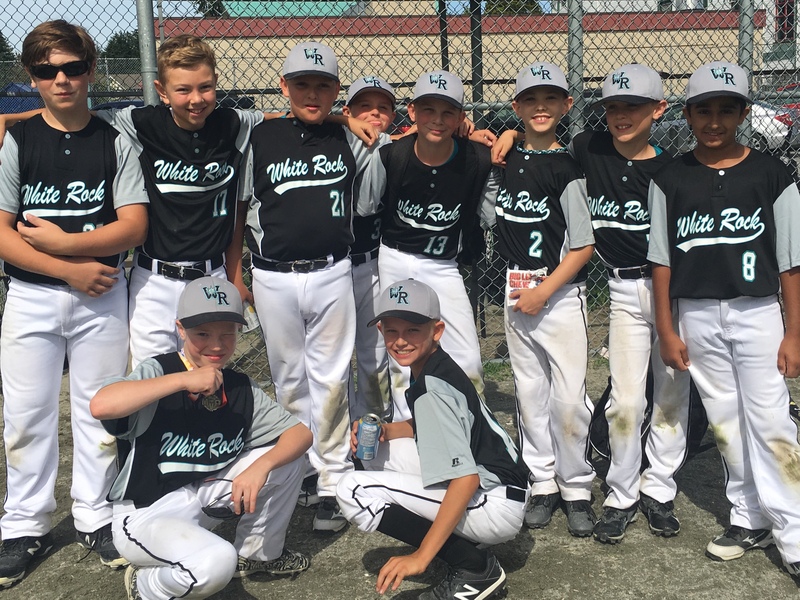 BCBA to provide point of contact in advance of the Provincials. Inform local law enforcement of the tournament dates and request drive/cycle/walk-through on the dates of the tournament. If any association chooses to carry less than the maximum roster numbers, they will be required to cover pre-purchased airline tickets. All fees pay for the player’s BC hat, jacket, and jersey which they get to keep at the end of the Championship. Fees also help to subsidize travel costs. (B) All fees are paid to the team’s local association. The local association writes B.C.B.A. one cheque to cover the total fees. The cheque must be provided to the Chef de Mission prior to leaving the province. Teams must pick-up players from other B.C.B.A. affiliated teams at their level of play or lower to fill their roster to the listed maximum. Pick-ups and the final roster must be approved by the Division Chair and the BCBA Board. The player and coach fee includes all airfare, hotels and ground transportation for the Championships. Players and coaches are responsible for their own meals at all Championships. Players and coaches are responsible for any baggage fee. BC Baseball will coordinate and administer a Junior Men’s division. The B.C.B.A. director responsible for the Junior Men’s division has the responsibility, in consultation with the teams, to make scheduling decisions and to establish general playing rules at the beginning of each season. Rule 36 is the only B.C.B.A. rule that is applied to the Junior Men’s Division. This division is not bound by any other B.C.B.A. rules unless directly referenced in this rule. 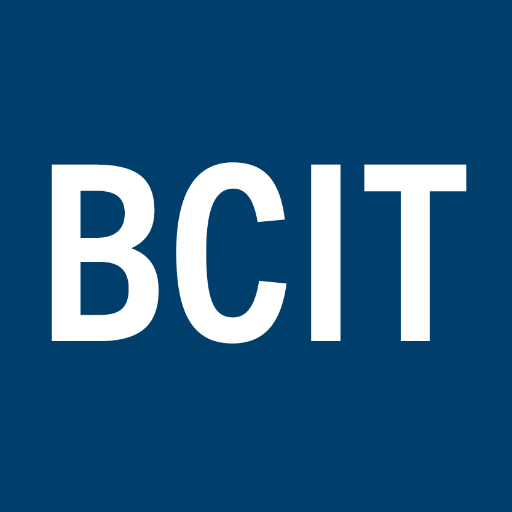 Discipline – The BC Baseball Discipline Committee will rule on all ejections, reported violations of the BC Baseball Code of Conduct, or violations of league rules. This committee will have the authority to suspend or fine any player or coach. Fines may also be issued to teams for incidents involving the conduct of a team. The maximum of individual or team fine is $100. Umpires are reminded that all ejections must be reported to the BCBUA. Coaches should communicate their perspective on ejections involving their team to the chair of the Discipline Committee within 24 hours of the ejection. The Discipline Committee’s decision will be communicated to the B.C.B.A. director and the Head Coach of the team involved. All ejections will be ruled on based on their merits. There is no automatic one game suspension. Any fines incurred during the season will be due to BC Baseball within seven days and will off-set the costs of the year end windup tournament. The discipline process and the Code of Conduct outlined in Rule 13 apply. Declaration Dates & Bonds – All teams who wish to field a Junior Men’s team must declare in writing and submit a performance bond of $500 per team to the B.C.B.A. director responsible for the division by March 1st. This performance bond will not be refunded if a team drops out after March 1st. Affiliation Fees – League fees due to B.C.B.A. are $12.50 per player for insurance and administration fees. Divisional league fees due to B.C.B.A. are $200 (in addition to the bond) per team for the purpose administrator fees as well as hats and registration for the select team going to Provincials. Any money left at the end of the season will be put towards the year end tournament. This money is due to BC by May 1st. Any team not paying this fee will not be permitted to play until the fee is played. Administrator position – The Junior Men’s Division has the authority to hire an individual responsible for the administration of the division’s schedule at a cost of $50 per team. This cost will be part of team affiliation fees and paid by the B.C.B.A. Boundaries – There are no boundaries in this division. Appeals – The appeal process outlined in Rule 16 applies to the Junior Men’s Division. In draws where teams play 2 round robin games on one day the higher seeds should have their DH on Day 1 and Day 2 while the lower seeds should have their DH on Day3. Draws may be amended for Opening Ceremonies & Skills Competitions. Directors should balance home and away games on the draw. Single Season leagues must give the choice of home team to the higher seed. Directors should consider the wishes of the host when determining provincial draws. When using two fields for the round robin, directors must consider whether to play both semi-final games at the same time on different fields or at different times on one field. Directors can choose to play games in any order they desire. Teams should not play back to back games including playing the last game in the evening followed by the first game in the morning. Monday is always saved as a rain day and teams must be prepared to play in the event of weather. Provincial draws, seeding, etc. must be forwarded to all teams with their summer league schedule. There are three options for the organization of this draw. should there be rain. The advantage of this draw is it allows more time for teams to travel to the tournament on Thursday. seeds who earn their position in league play. The advantage of this draw is there is time on Saturday for make-up games in the event of weather. In 15U (Bantam) and 18U (Midget) this is a recommended draw because it guarantees tiebreaker games can be played on Saturday evening at 4:30.
then the final would be moved to Monday.